Robert J is a 45 year-old male who loves sports, especially skiing, snowboarding and tennis. He came to me one day and complained of right knee pain on and off for about one week. He reports skiing one week ago while accelerating downhill while suddenly trying to make a left turn, when he fell in the snow. He felt immediately pain at right medial knee. However, he managed to walk down the slope. When he arrived at the base of the slope, he put ice right away on the right knee. His knee had mild swelling, but was not so painful. 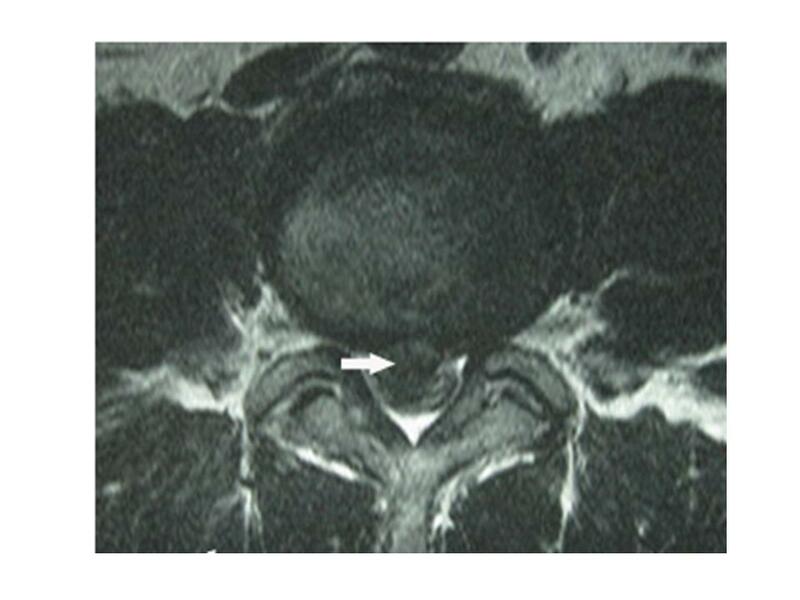 He thought his knee pain would gradually subside; he might not need to see a physician. However, for last the two days, he felt his right knee pain was getting worse, he had difficulty bending his right knee, and sometimes had his knee “locked” in certain position. 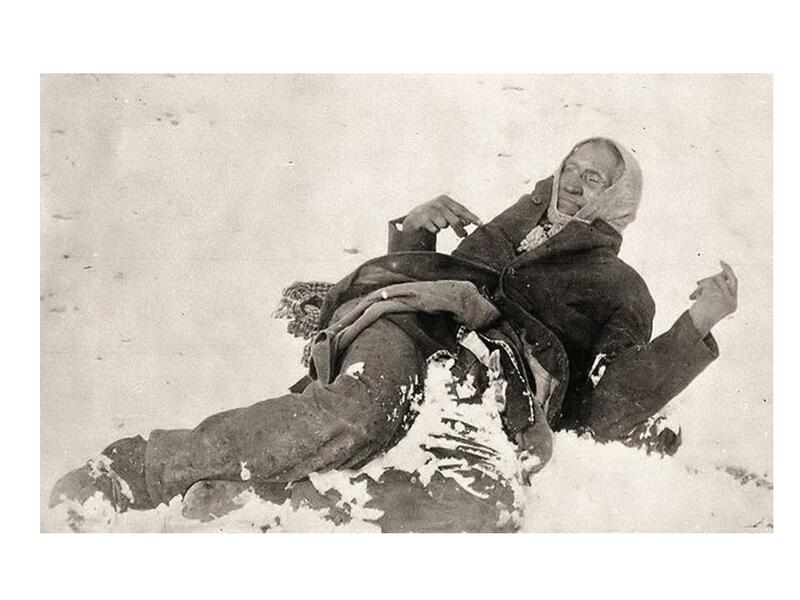 He took Tylenol and Advil but did not feel any improvement. Therefore, he came to me for evaluation and treatment. Knee sprain : A knee sprain means that you have injured one of the four major ligaments around the knee joint. The most common symptom of knee sprain is knee pain, swelling and sometimes you may feel pop sound at the knee. Among the four ligaments, ACL is the most common form of injury. 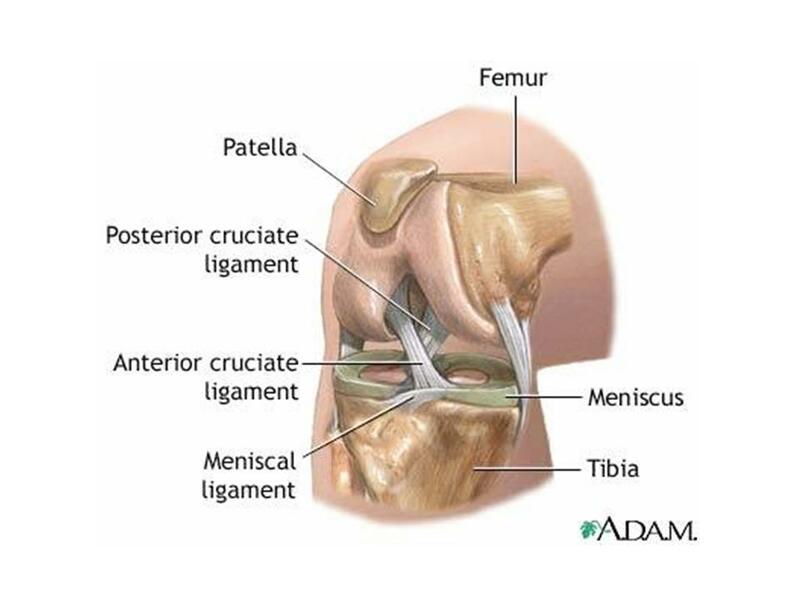 ACL: The anterior cruciate ligament is a ligament located at frontal knee. ACL prevents your lower leg, the tibia, from sliding too far forward, and is critical to knee stability, and people who injure their ACL often complain of symptoms of their knee giving-out if you have complete or partial tear of ACL, or frontal knee pain and swelling if you have just sprain of ACL. The PCL, posterior cruciate ligament, is the ligament located at back of the knee, which prevents your lower leg, the tibia (shin bone) from sliding too far backwards. 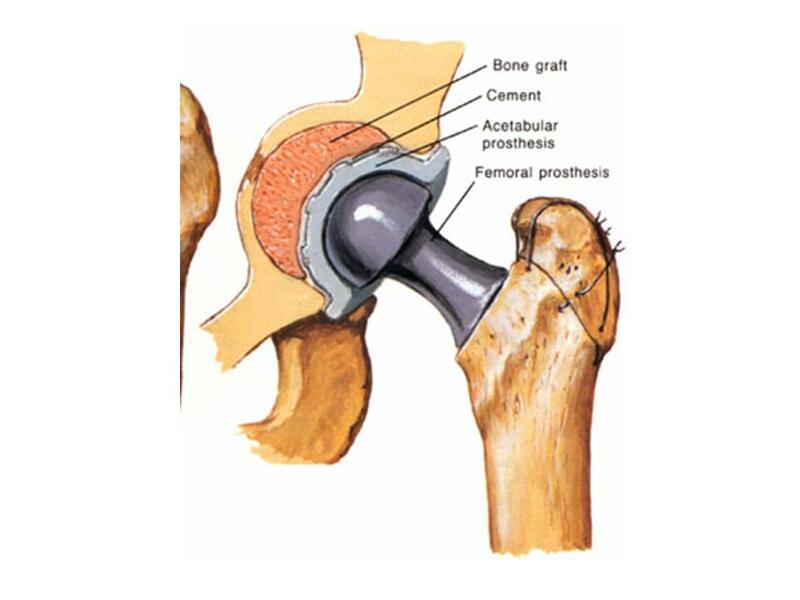 Along with the ACL, the PCL helps to maintain the tibia in position below the femur (thigh bone). The PCL injury is the so-called “dashboard injury,” when the knee is bent, and an object forcefully strikes your tibia backwards, like happened in the car or ski accident. 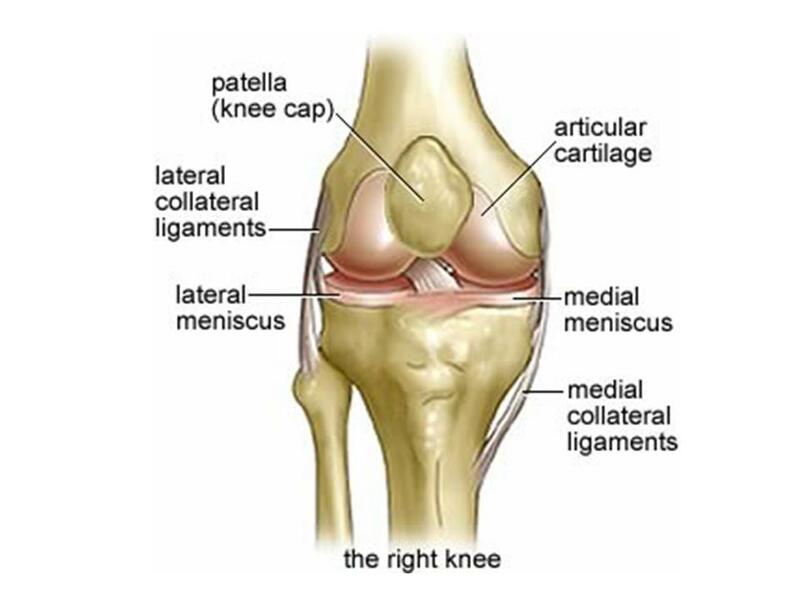 The MCL, medial collateral ligaments, and the LCL, lateral collateral ligaments, located inside of the knee, connects the end of the femur (thigh bone) with the top of the tibia. 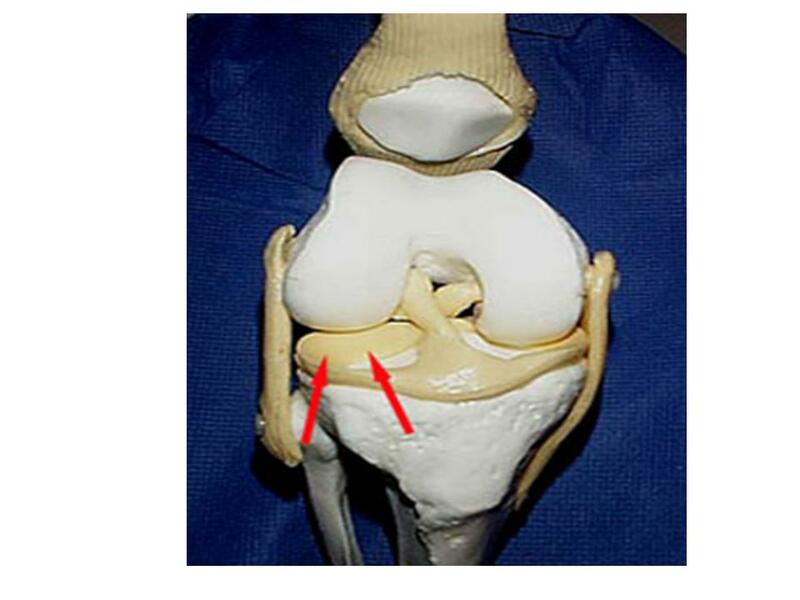 The MCL and the LCL resists widening of the inside of the joint, or prevents “opening-up” of the knee. Impact force to lateral knee usually causes the MCL injury, and to medial knee, the LCL injury. 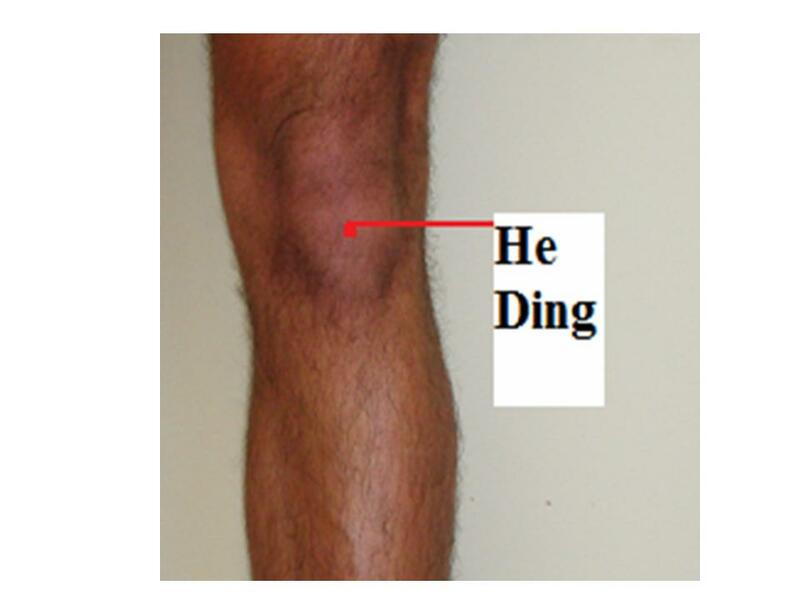 Pain and Swelling of the knee are common with Knee sprain, i.e. the tears of ACL, PCL, LCL and MCL. When there is an effusion immediately after a knee injury, a possible cause is severe injury to a knee structure. The clinical differentiation of which ligament injured depends on the location of the knee pain, for example, the pain located at median knee might be MCL tear, in the frontal knee, possible ACL tear. 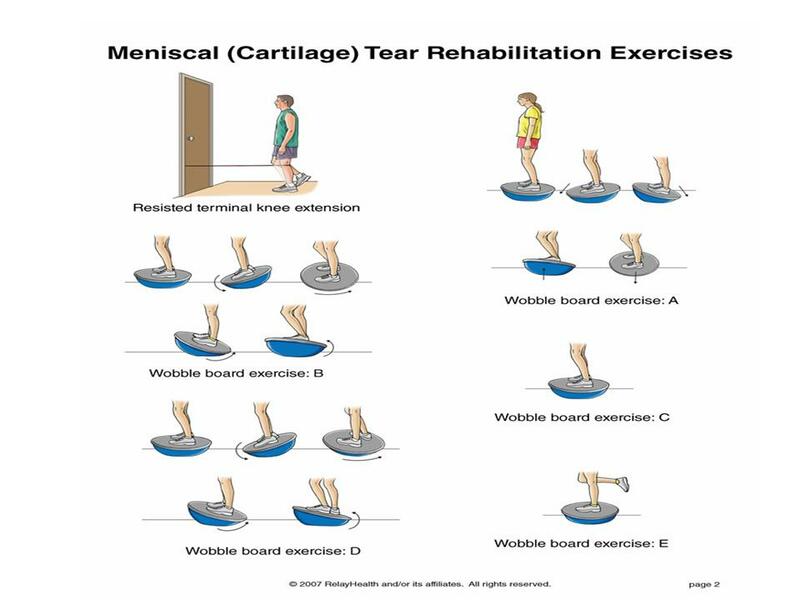 The main difference between tears of ligament and meniscus is that there is swelling right away after ligament injury, for meniscus tear, the swelling usually comes in slowly after a few hours. However, a MRI is an absolutely necessary to identify the injured structure and guide the next step for the treatment strategically. 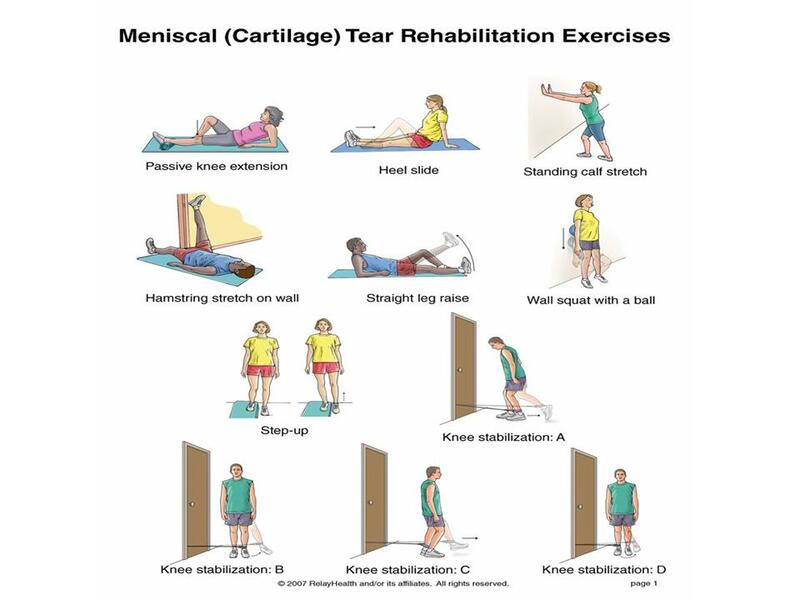 There are two types of meniscus tears: medial and lateral meniscus tear. The meniscuses are two wedge-shaped pieces of cartilage act as “shock absorbers” between your femoral and tibial bones. The one located in the medial side of the knee is called medial meniscus, the one in the lateral side called lateral meniscus. 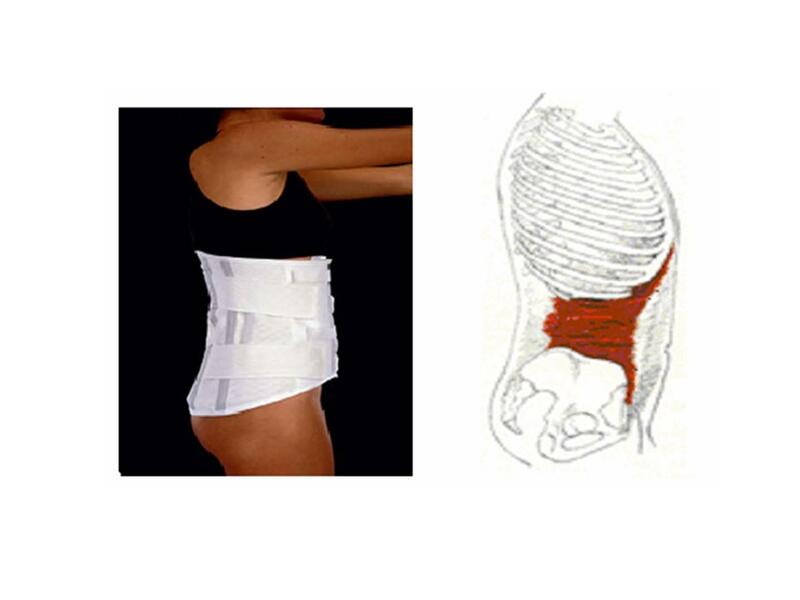 They are designed to cushion the joint and keep it stable. Tenderness of the medial joint line indicates medial meniscus damage, pain in the lateral joint line may mean lateral meniscus injury. 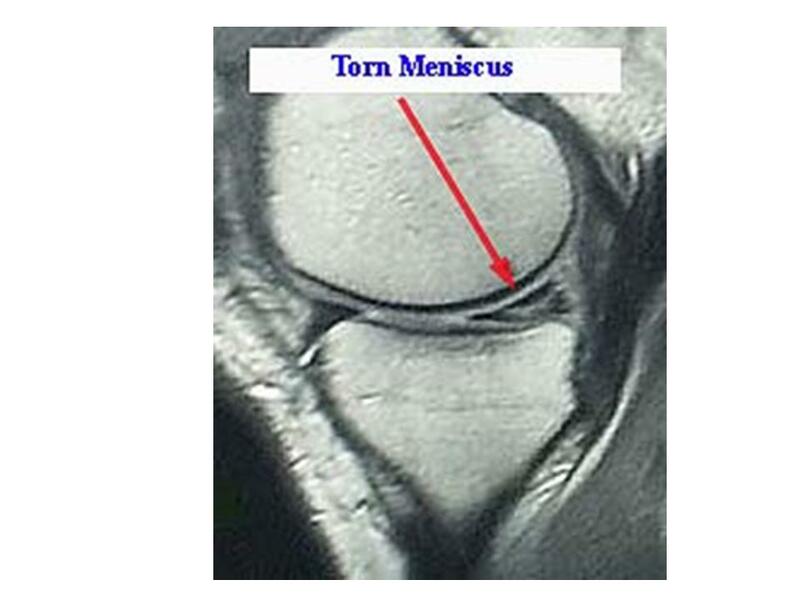 There are three types of meniscus tears. Each has its own set of symptoms and the treatments are different. A. Minor tear, you may have slight pain and swelling. 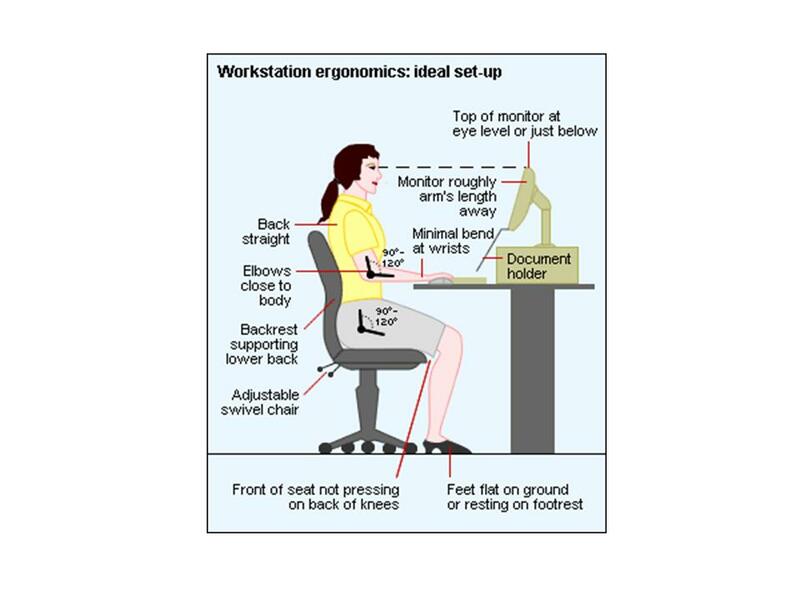 It does not interfere your daily activities, but you do feel some slight pain and minimum swelling. This usually goes away in 2 or 3 weeks. B. Moderate tear can cause pain at the side or center of your knee. Swelling slowly gets worse over 2 or 3 days with limited range of motion and moderate, tolerable pain, you may walk with mild or moderate pain. You might feel a sharp pain when you twist your knee or squat. The pain may come and go for years if the tear is not treated. C. Severe tears, pieces of the torn meniscus can move into the joint space. 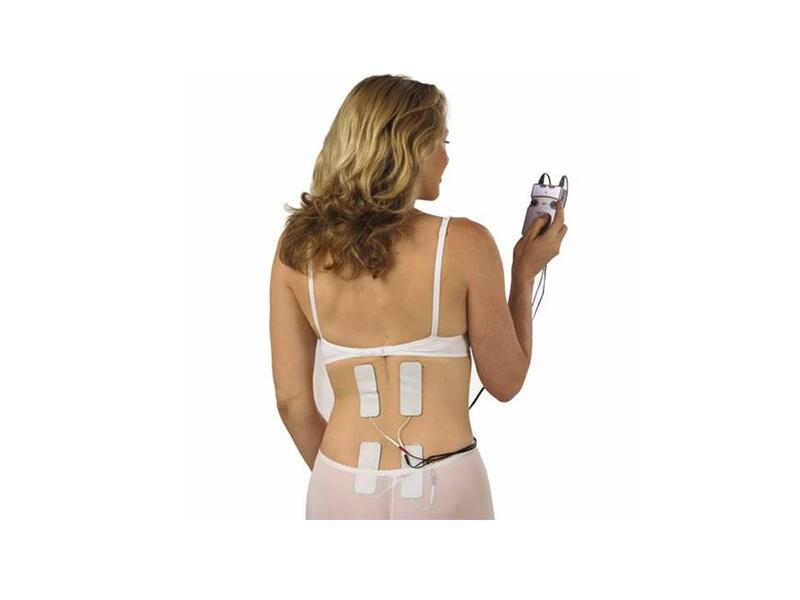 You may feel severe pain and difficulty walking. 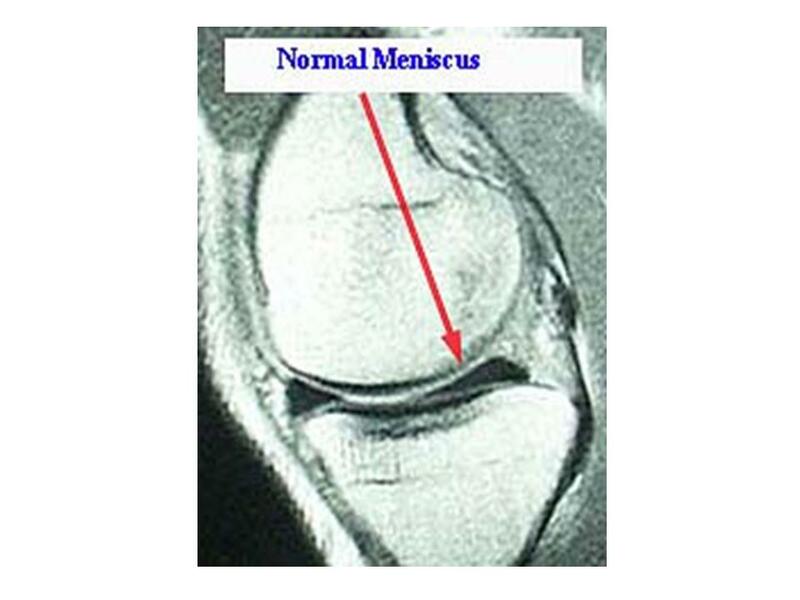 The meniscus chips can make your knee catch, pop, or lock. You may not be able to straighten it. 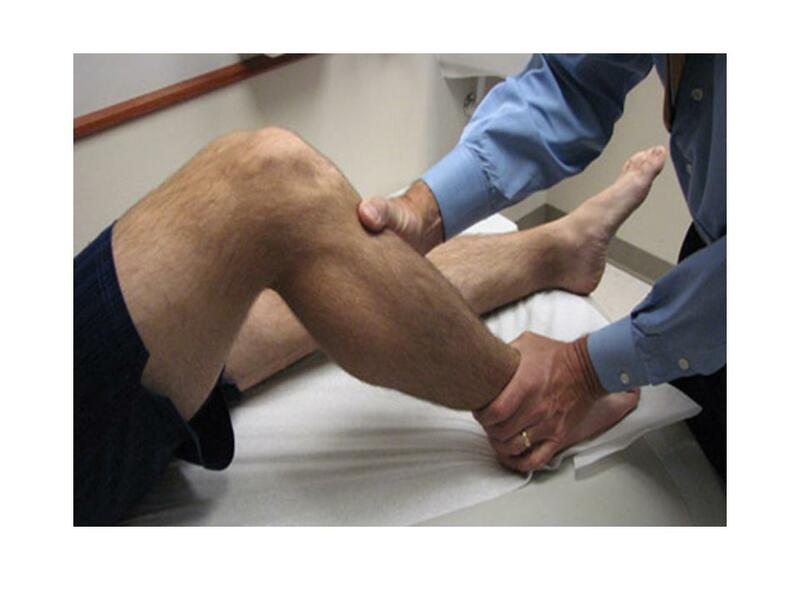 Your knee may feel “wobbly” or give way without warning. 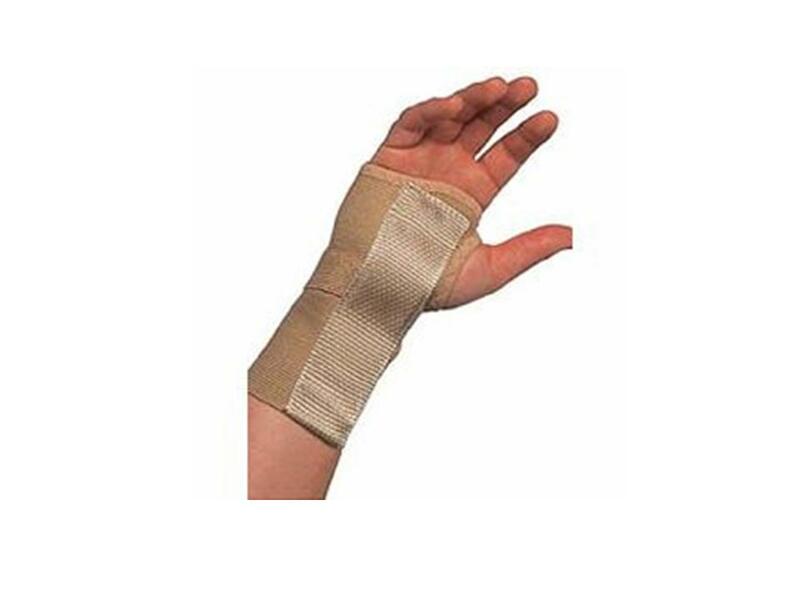 It may swell and become stiff right after the injury or within 2 or 3 days. For age 65 or above, you may not remember the history of knee injury. 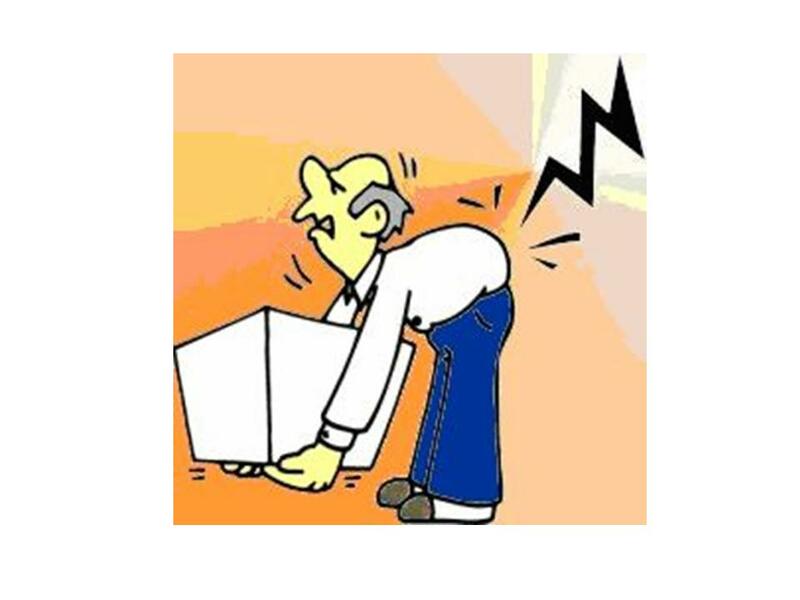 You may only notice feeling pain after you got up from a squatting position, for example. Pain and slight swelling are often the only symptoms. 1. Patellofemoral pain syndrome (PFPS): is a syndrome characterized by pain or discomfort seemingly originating from the contact of the posterior surface of the patella (back of the knee cap) with the femur (thigh bone). 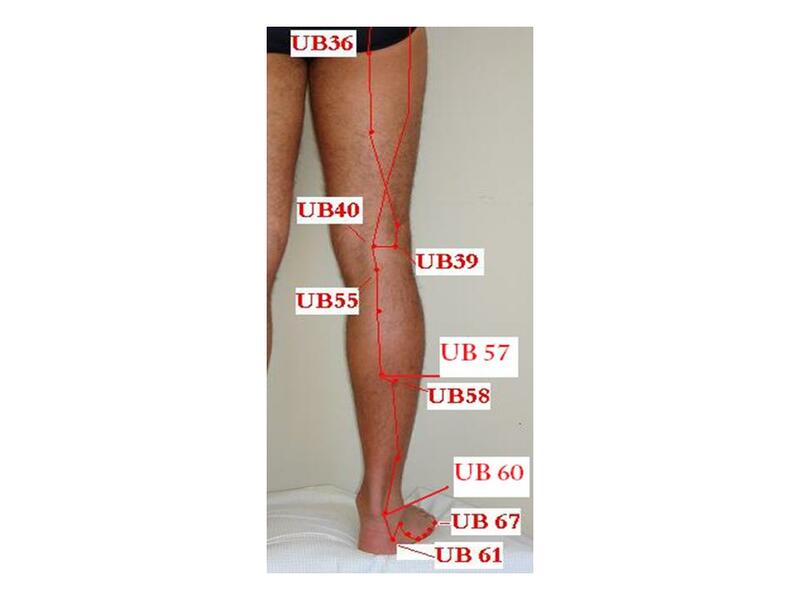 Runners, basketball players, young athletes and females especially those who have an increased angle of genu valgus (knock knees) are highly risk for PFPS. Typically localized anterior knee pain behind your knee cap is exacerbated by sports, walking, sitting for a long time, or stair climbing. 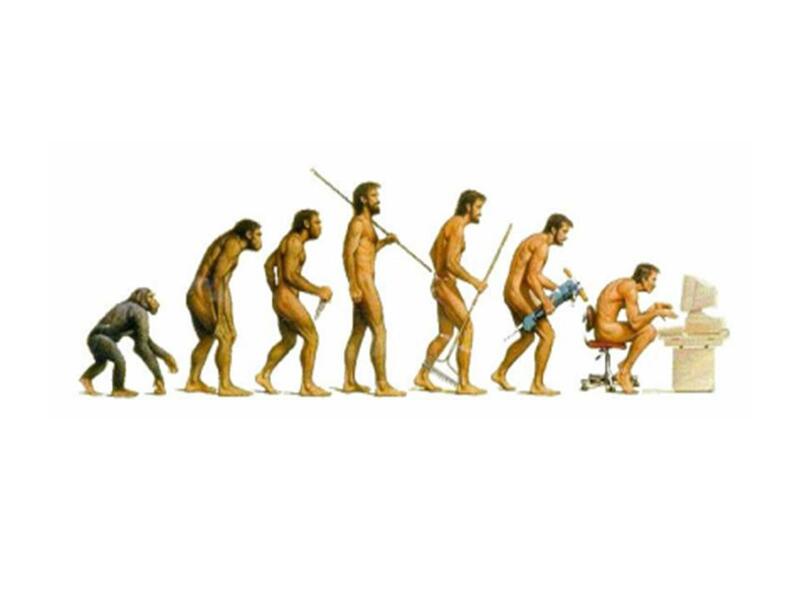 Descending stairs may be worse than ascending. 2. 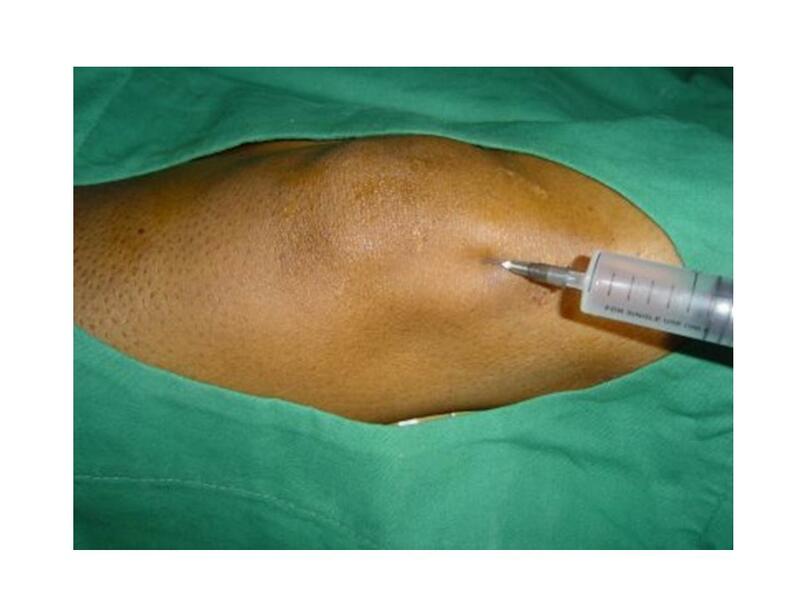 Backer’s cyst: is an accumulation of joint fluid (synovial fluid) that forms behind the knee. 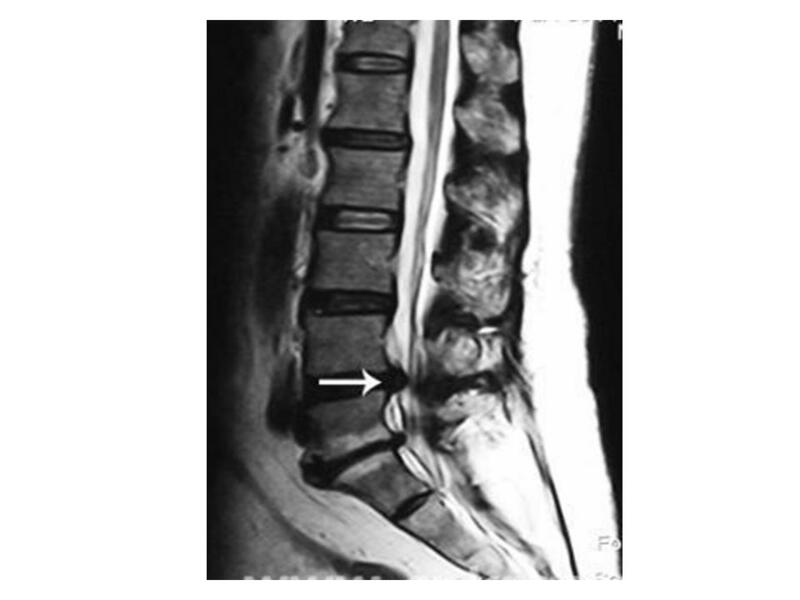 A large cyst may cause some discomfort or stiffness but generally has no symptoms. There may be a painless or painful swelling behind the knee. 3. 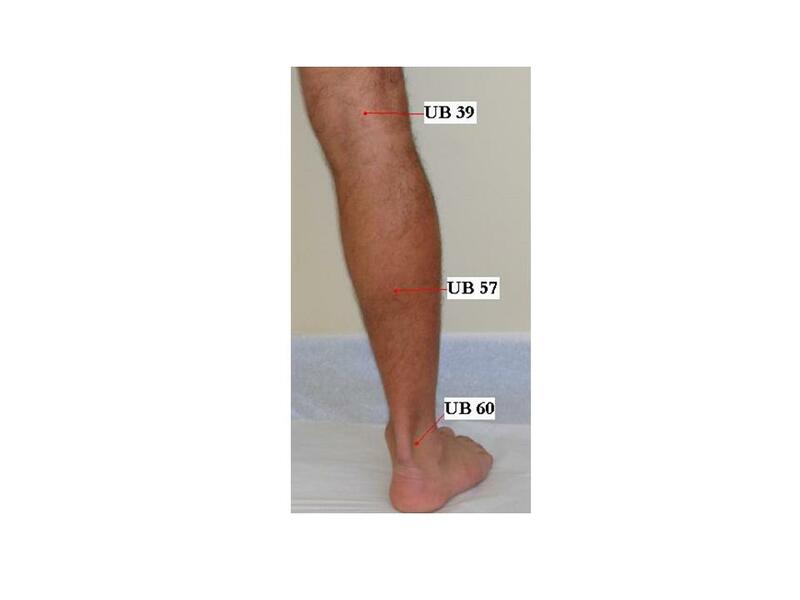 Pes anserine bursitis (often coupled with tendonitis): is a painful, inflammatory condition affecting the pes anserine bursa (and pes anserine tendon) between your shinbone (tibia) and the hamstring tendons at the inside of your knee; typically caused by stress to the area. 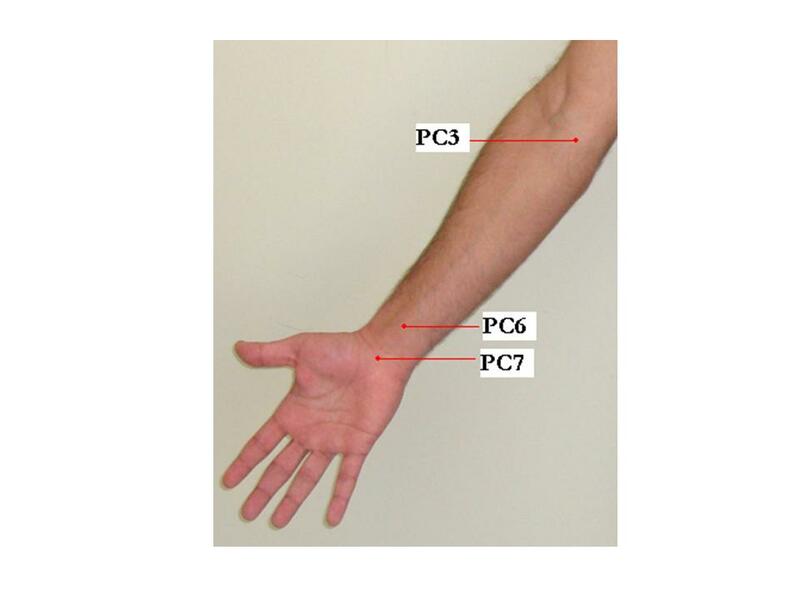 The following physical examination will help us differentiate the above diagnoses. 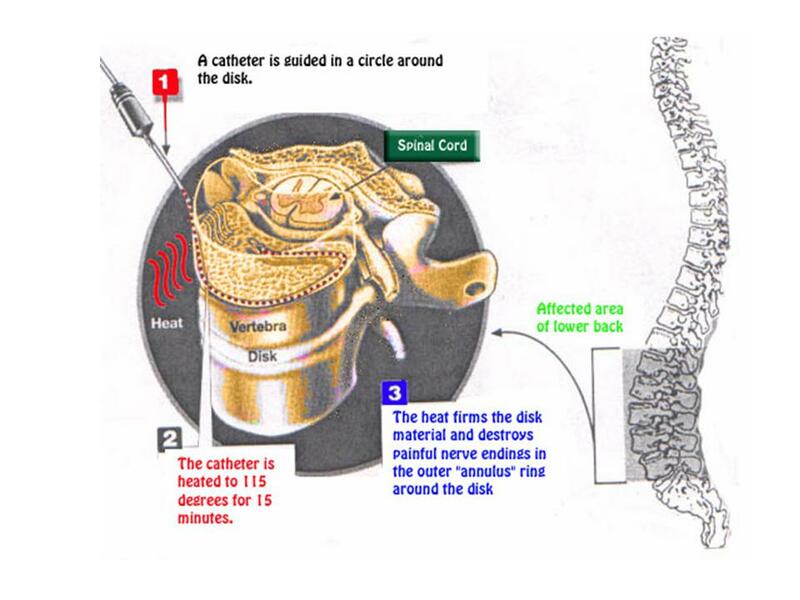 Anterior draw test: this test is used to exam ACL injury. 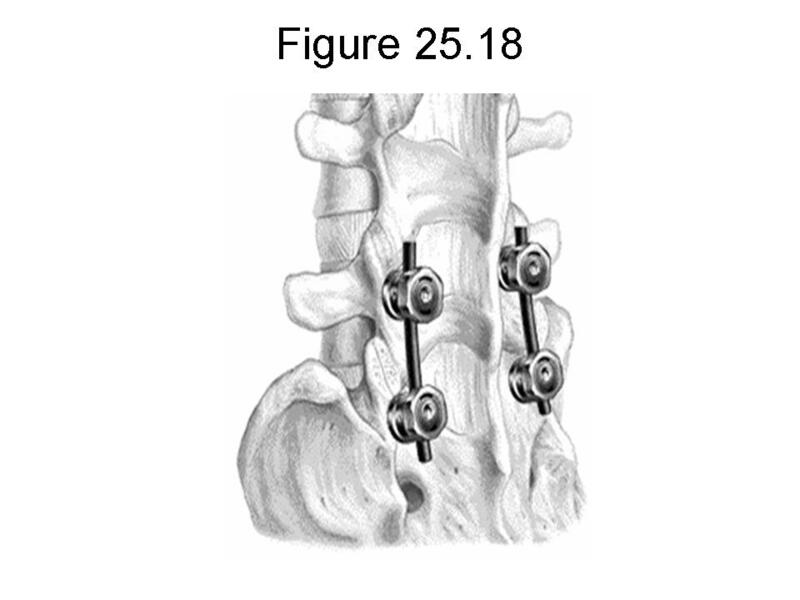 With the patient lying supine, the knee flexed to 90 degree, the examiner grasps the patient’s knee and pull lower leg forward, if an anterior motion and distinct endpoint felt, ACL tear could be clinically diagnosed. 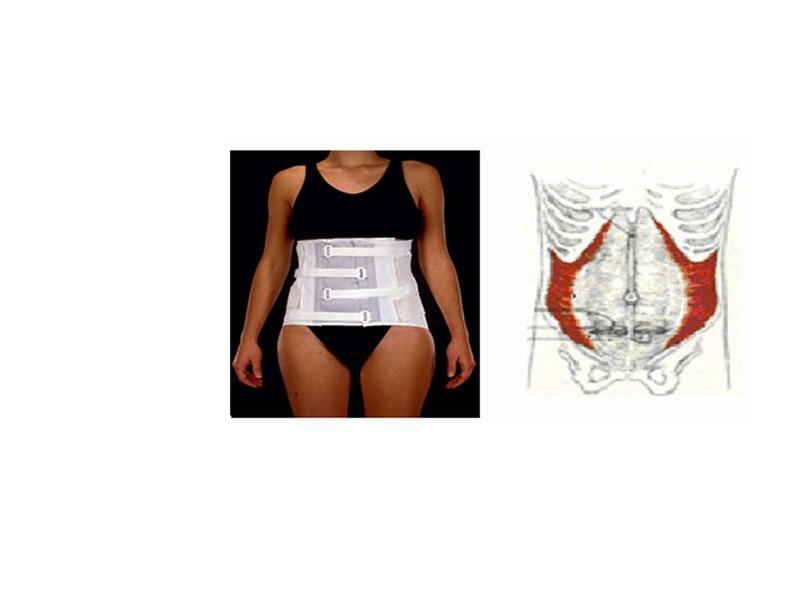 Posterior draw test: this test is used to exam PCL injury. 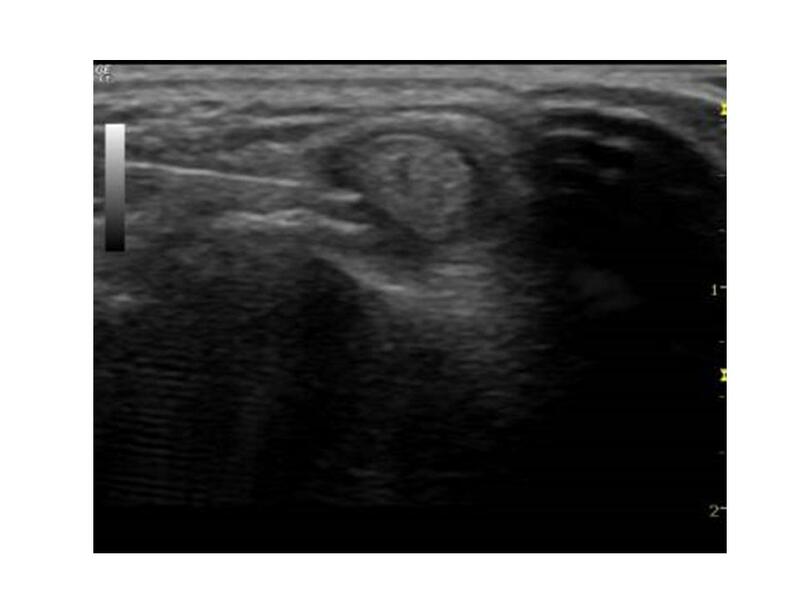 As like ACL test, if a posterior motion and distinct endpoint felt, PCL tear is clinically indicated. * Collateral ligament test: With the patient lying supine, the lower leg flatted without bending, the examiner apply force at medial knee with one hand and another hand on with opposite force at the ankle of same knee, if the patient feels pain at medial knee, that indicates the patient has possible medial collateral ligament injury, if the pain is on the lateral side, then it might indicate lateral collateral ligament injury. 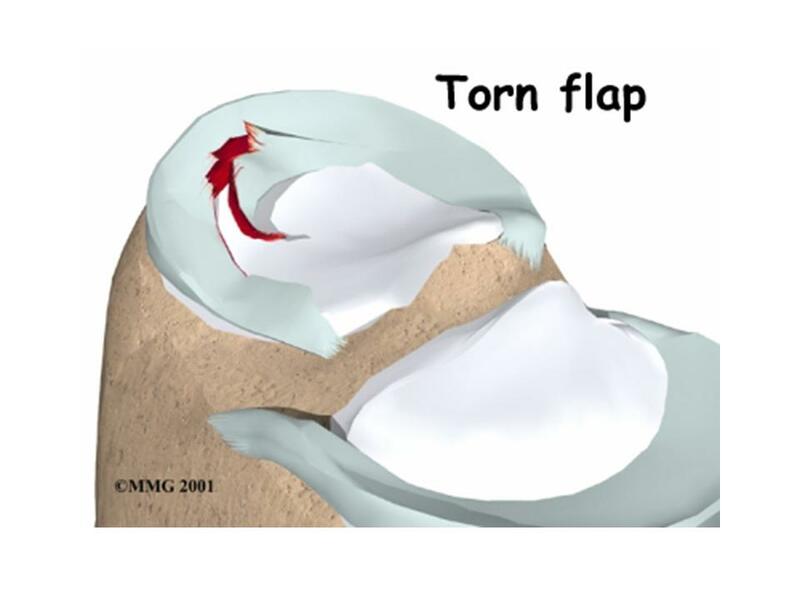 Apley’s grind test: The patient lies prone with the knee flexed to 90 degree, the examiner places force downward on the heel compressing the menisci between the femur and tibia bones. In the mean time rotate the tibia while asking the patient report which portion of the knee is tender; the examiner could make a diagnosis of either medial or lateral meniscus tear. 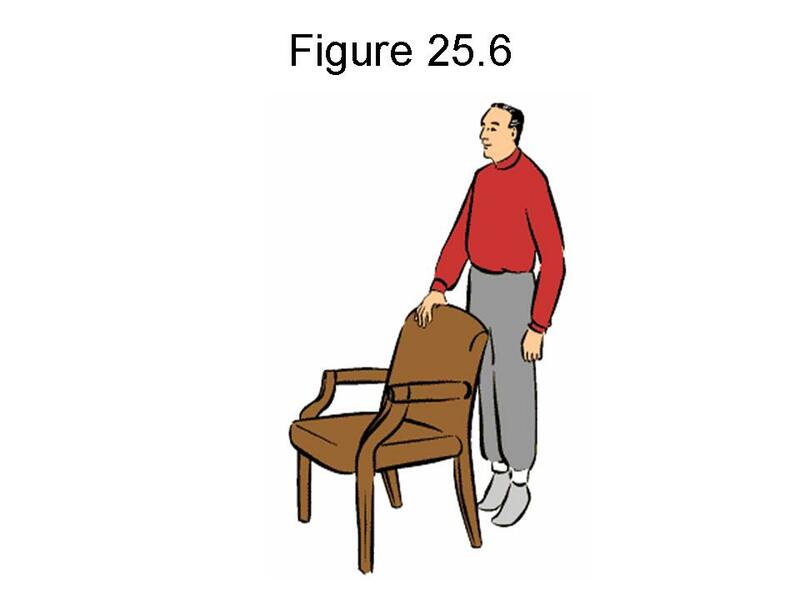 McMurray Test: The patient lies on their back, knee flexed to 90 degrees, as the examiner holds around the knee with their thumb and index finger on the joint lines. 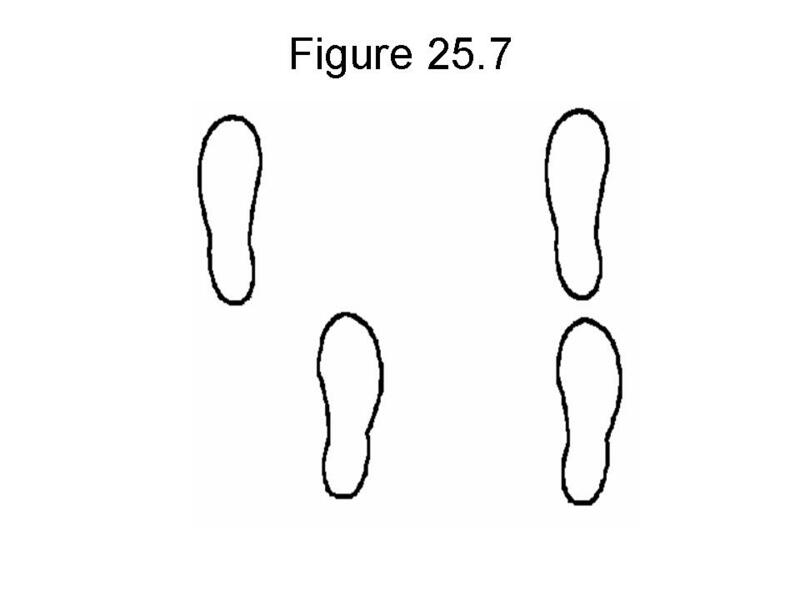 The knee is then extended as either internal or external rotation is applied by the examiners other hand at the ankle. If a click is heard or felt at the knee, the test is positive for a meniscus tear. By physical examination, Robert showed vague positive on medial collateral ligament test, and positive test of Apley’s Grind test. Because of the positive findings for both tests, therefore, it is medically necessary to have X-ray and MRI of the left knee. X-rays and MRIs are the two tests commonly used in patients who have meniscus tears. 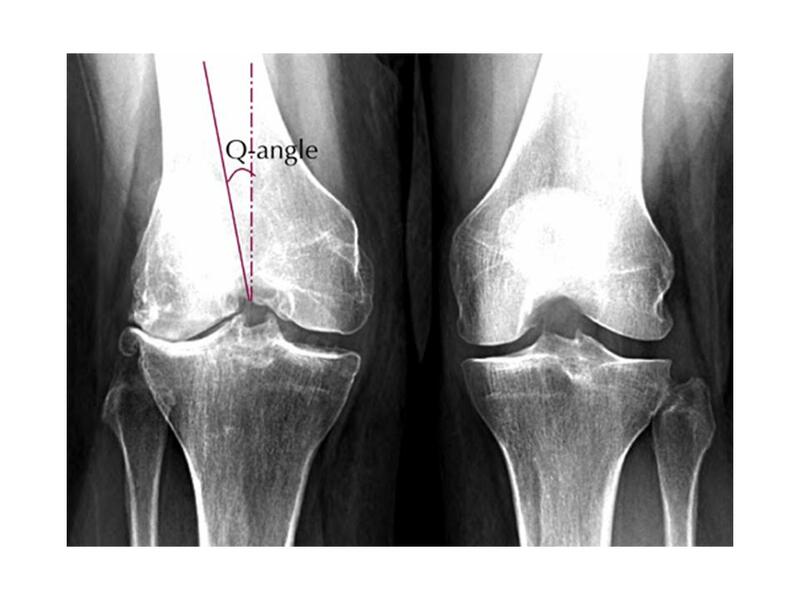 An x-ray can be used to determine if there is evidence of degenerative or arthritic changes to the knee joint. The x-ray of Robert’s left knee showed no narrow space, nor osteophysites, which guides me go ahead to order MRI. The MRI is helpful at actually visualizing the meniscus. Normal knee under MRI shows smooth edge without interruption as you may see from above, however, if there is meniscus tear, you may see the interrupted meniscus line and non lineated edge of the meniscus. Robert’s MRI showed left medial knee meniscus tear. 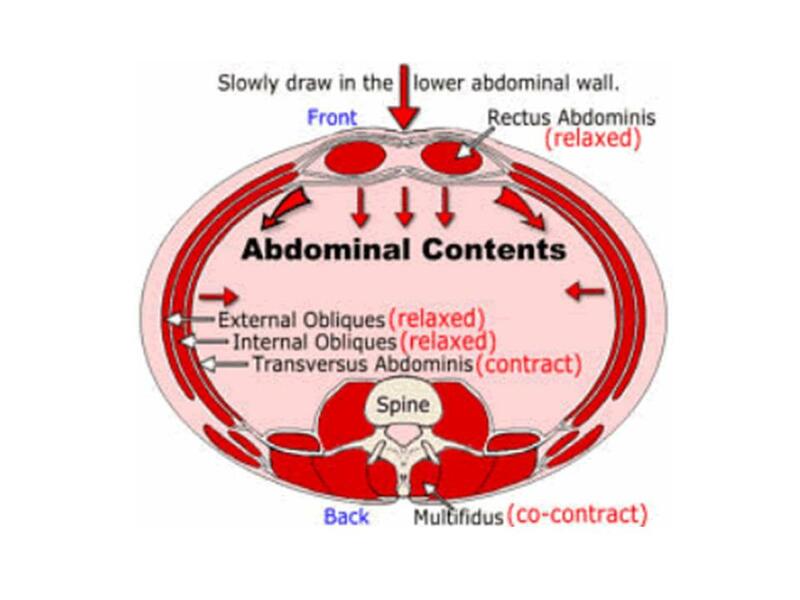 Acute stage. In this stage the patient suffered a trauma or injury with acute pain, so it is necessary to use acronym PRICE measures for this stage. Protection. 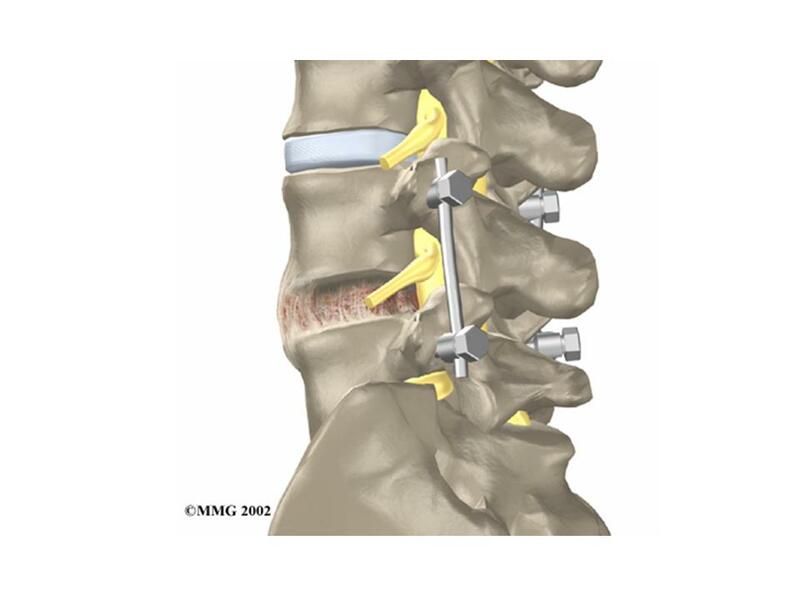 Use or crutches or a brace is necessary to help stabilize the joint to avoid weight bearing and prevent further damage. Rest. 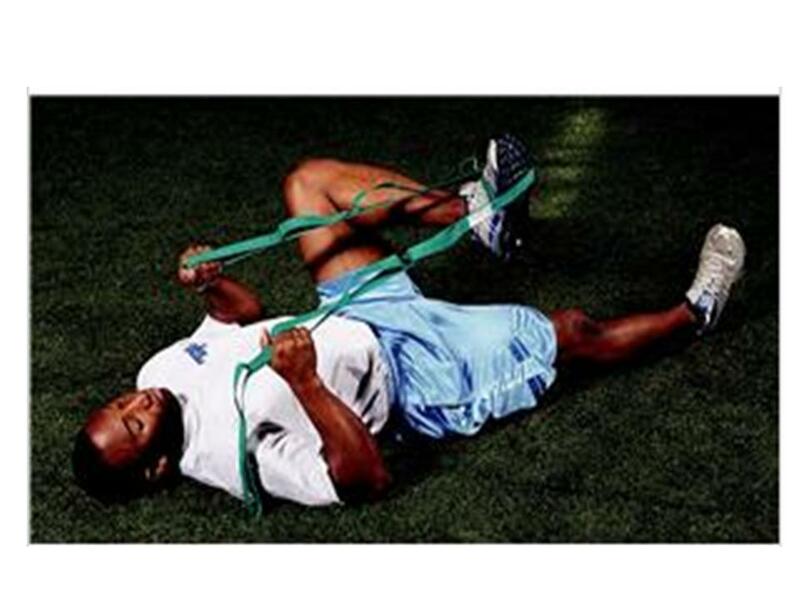 Reduce or stop the activities that caused the pain, which will help reduce the pain and improve the injury. Ice. 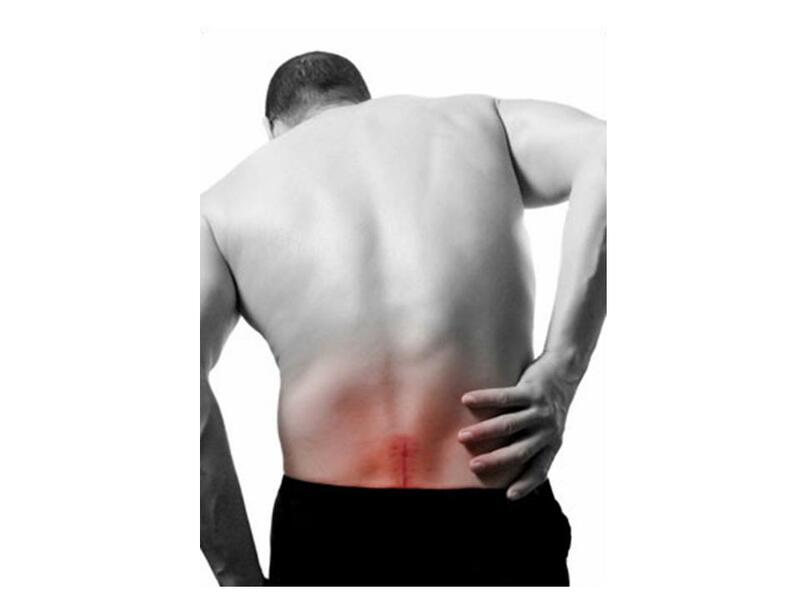 In the acute stage, there is pain and acute inflammation. Ice will decrease this inflammation and should be applied to the injured knee three or four times a day for 20 minutes at a time. It also helps to rub the ice pack around the knee to protect the knee and decrease the pressure of the inflammation. Compression. Use of a compression bandage and massaging the damaged tissue helps to prevent fluid build up edema, and hard rubbing of the knee helps to strengthen it. Elevation. 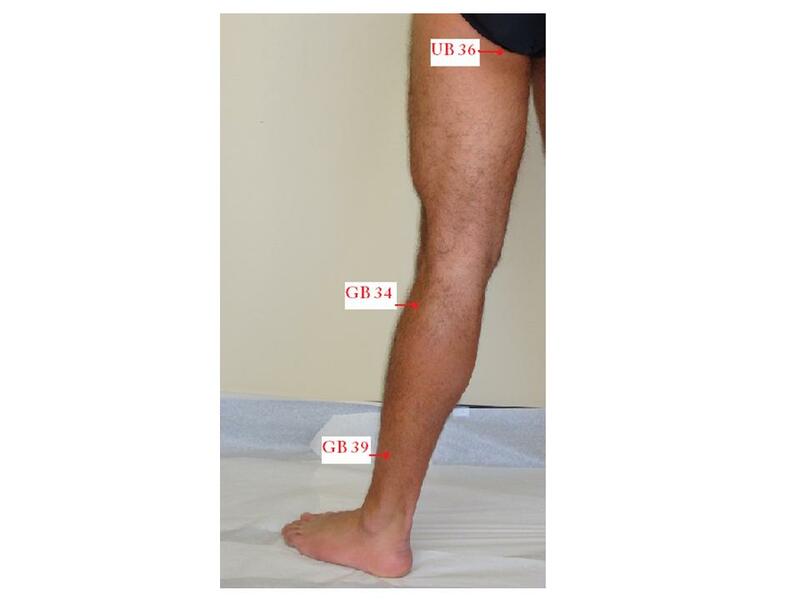 Elevate your leg with help of gravity will facilitate the fluid return from the swelling knee to your heart, which will decrease the knee swelling. Anti-inflammatory medication. Non-steroid anti-inflammatory medication such as NSAID’s, including asperin, nanproxen and ibuprofen help decrease the inflammation and decrease the pain. 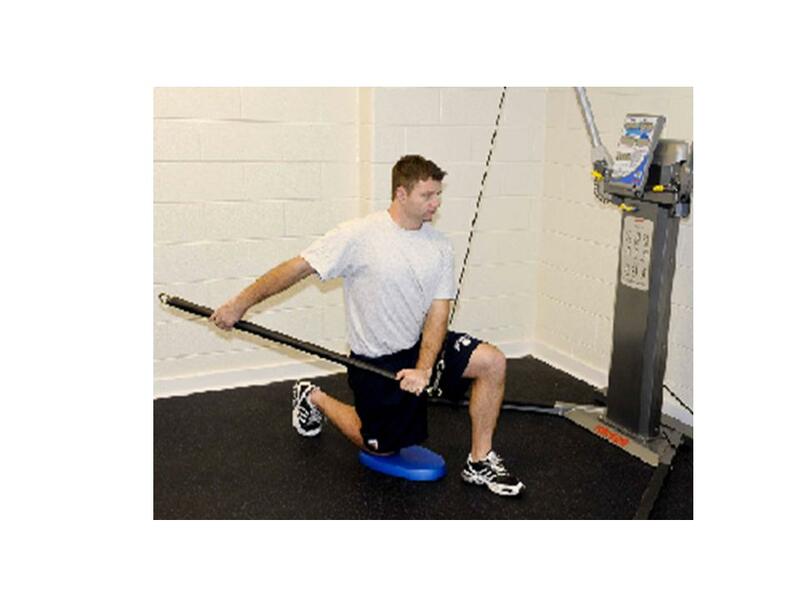 Balance training, or proprioception, is critical to re-train the stabilizing muscles of the ankle, knee and hip. 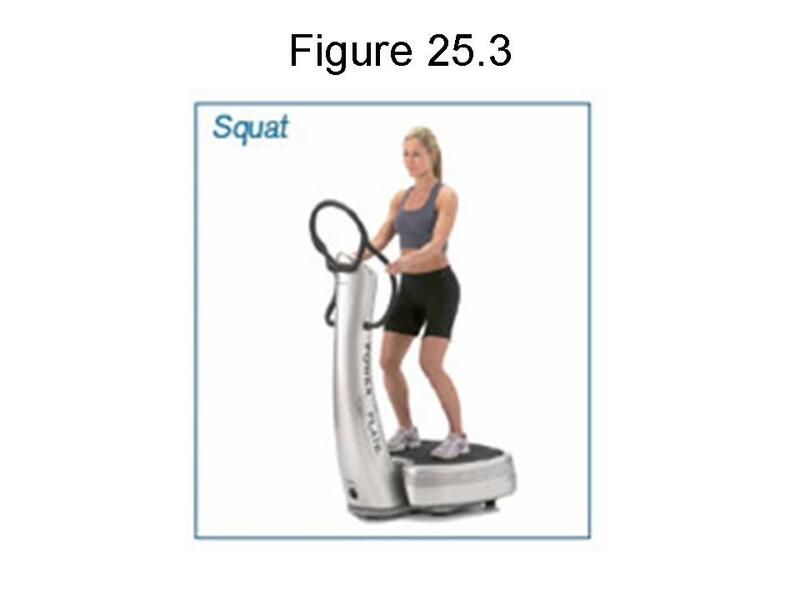 As demonstrated below a wobble board can be used once balance in a tandem stance, one foot in front of other, on a flat surface is mastered. Wind cold: the knee is very stiff, cold and heaviness, the pain is worse in the morning, difficulty moving, getting in or out of car, mild to moderate pain. 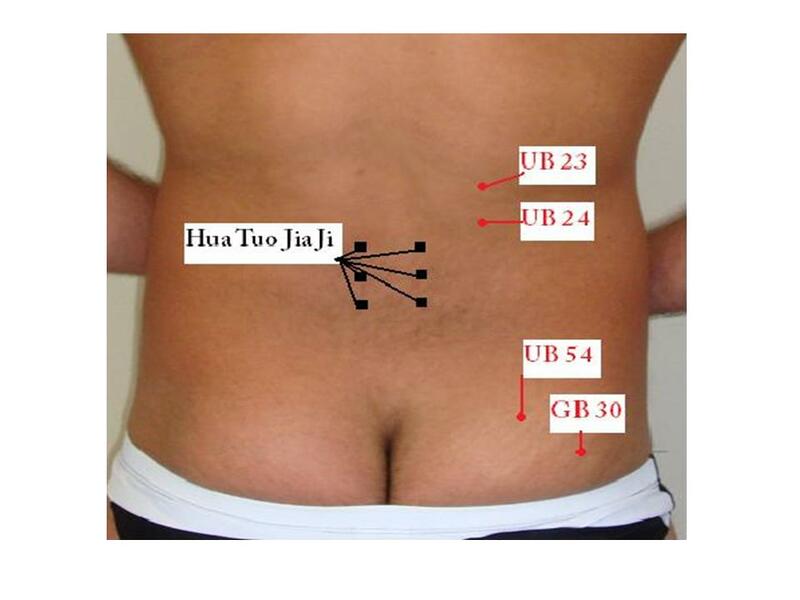 I choose the following acupuncture points for both type: LI 4 He Gu, LI 11 Quchi, St 35 Du Bi, Nei Xi Yan, Xue Hai, Liang Qiu, He Ding, Wei Zhong, I add Ying Ling Quan, Wei Yang for Wind hot, and Yang Ling Quan, Zhu San Li for Wind cold. 6. 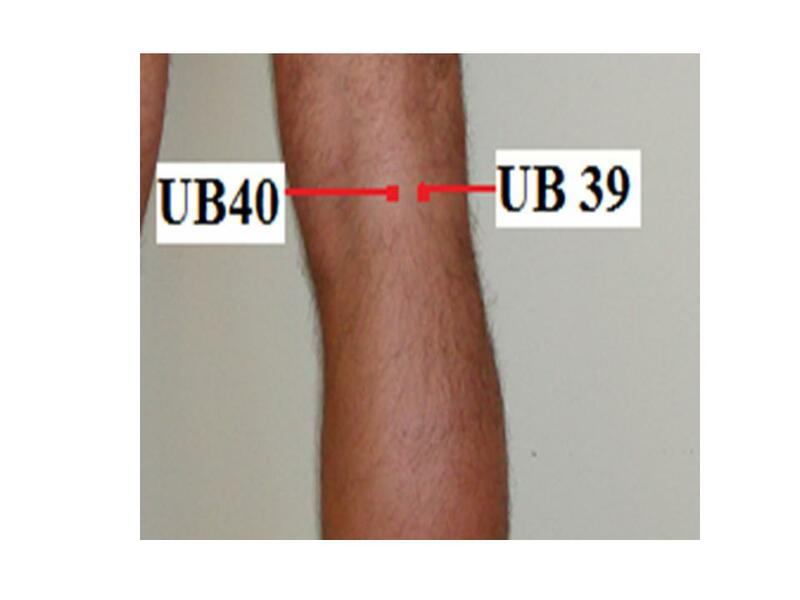 Wei Zhong UB 40 Midpoint of the transverse crease of the popliteal fossa, between the tendons of biceps femoris and semitendinosus Low back pain, motor impairment of the hip joint, lower extremities, contracture of the tendons in the popliteal fossa, muscular atrophy, pain, numbness of leg, hemiplegia, abdominal pain, vomiting, diarrhea, erysipelas. 11. 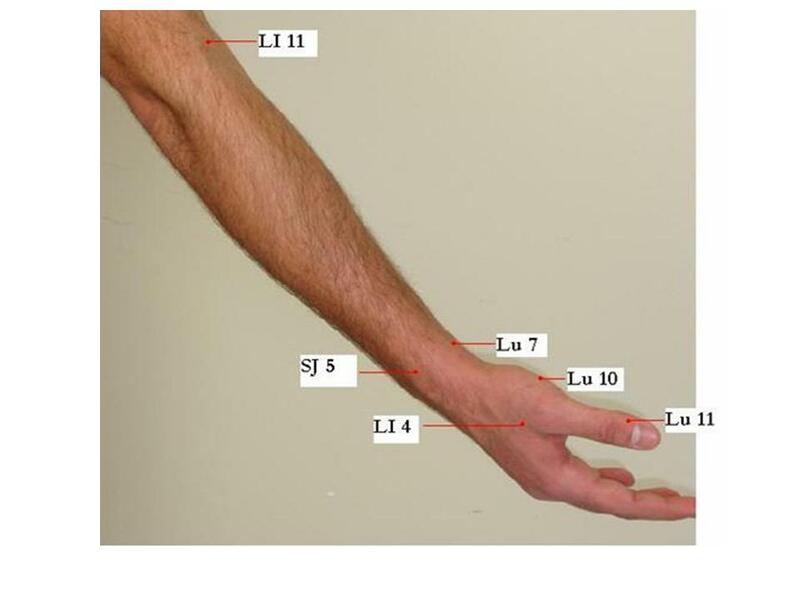 LI 4 He Gu On the dorsum of the hand between th e1st and 2nd metacarpal bones, approximately in the middle of the 2nd metacarpal bone on the radial side. 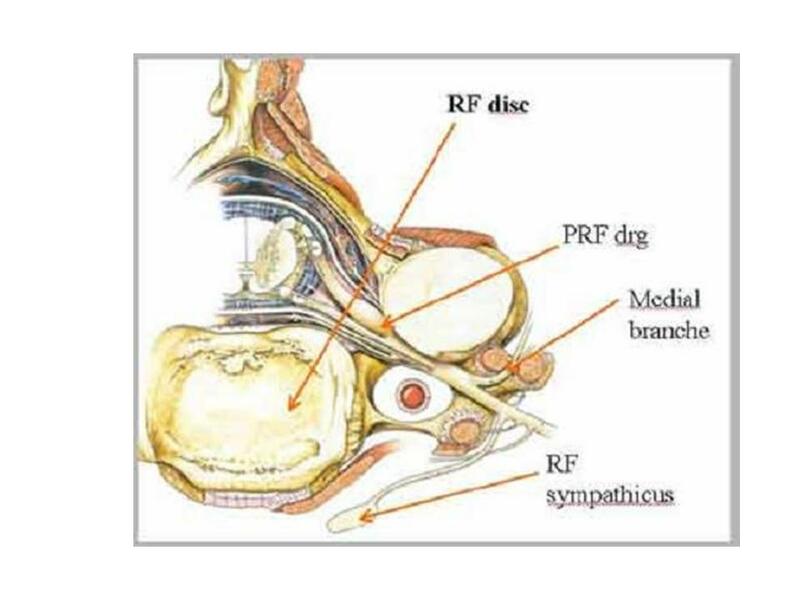 Headache, pain in the neck, redness swelling and pain of the eye, epistaxis, nasal obstruction , rhinorrhea, toothache, deafness, swelling of the face, sore throat, arotitis, trismus, facial paralysis, febrile dieseases with anhidrosis, hidrosis, abdominal pain, dysentery, constipation, amenorrhea, delayed labour, infantile convulsion, pain, weakness and motor impairment of the upper limbs. 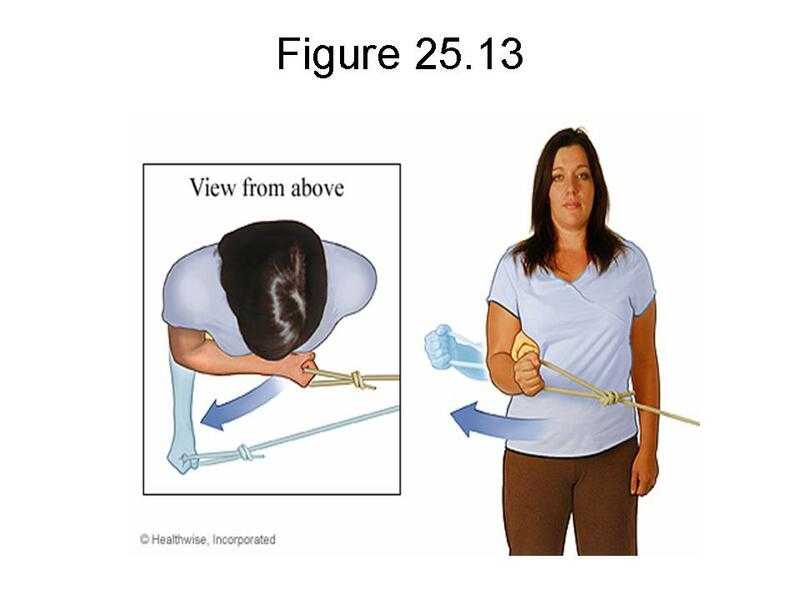 12 LI 11 Qu Chi Flex the elbow, the point is in the depression of the lateral end of the transverse cubital crease. Sore throat, toothache, redness and pain of the eye, scrofula, urticaria, motor impairment of the upper extremities,abdominal pain, vomiting, diarrhea, febrile disease. Corticosteroid injections: steroid injection can quickly decrease the inflammation and decrease the pain, however, it is not possible to use this treatment more than three times a year because there are too many side effects. These include risk of infection, water retention and elevated blood sugar levels. Treatment for Robert: Robert was treated with both physical therapy for about 12 visits. Because it is a moderate left medial meniscus tear, he did not go through the arthroscopic surgery. After about 2 to 3 treatments, his knee swelling was subsided, about 6 visits, his pain was gradually decreased. He was discharged from my clinic after 12 visits, he was given home exercise program to strengthen his quadriceps at home. Always apply ice to your knee, if you have knee injury after any accident. You’d better use the PRICE procedure as I mentioned above. Always exercise your quadriceps muscle, this group muscle can protect your knee structures, even you do not have any knee injury now. You must have a clear diagnosis, if your diagnosis is severe knee meniscus or knee ligament tear, I do not recommend conservative treatment. 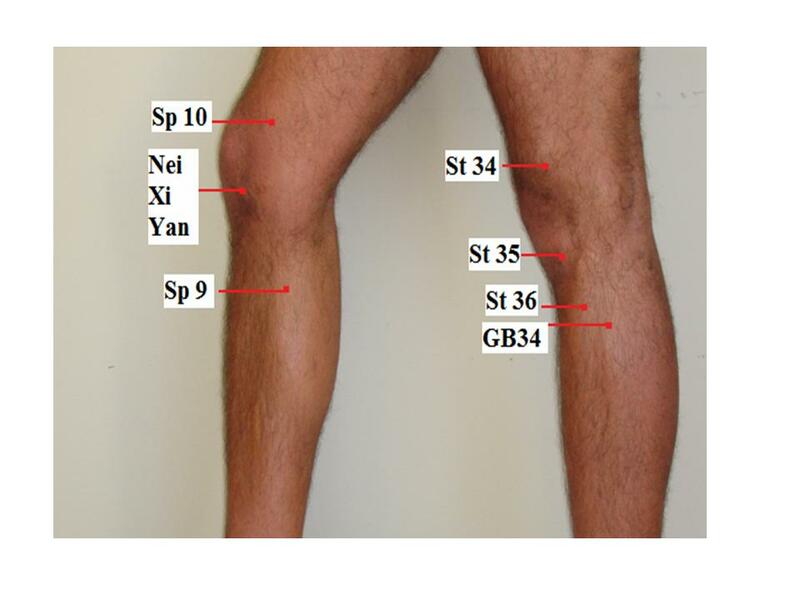 Acupuncture and physical therapy only can treat mild to moderate knee sprain and meniscus tears. For severe knee sprain and meniscus tears, you have to wait until the patients have arothscopic surgery done. 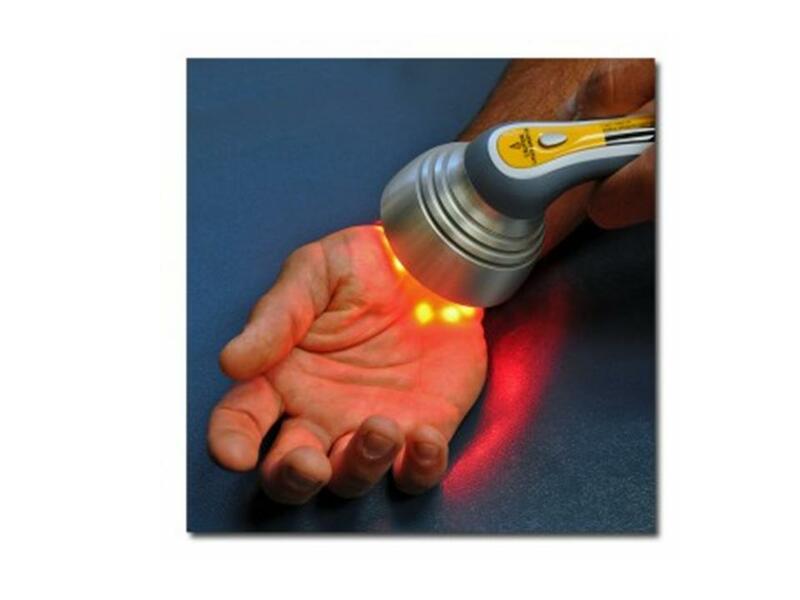 You may then start acupuncture and physical therapy treatments. 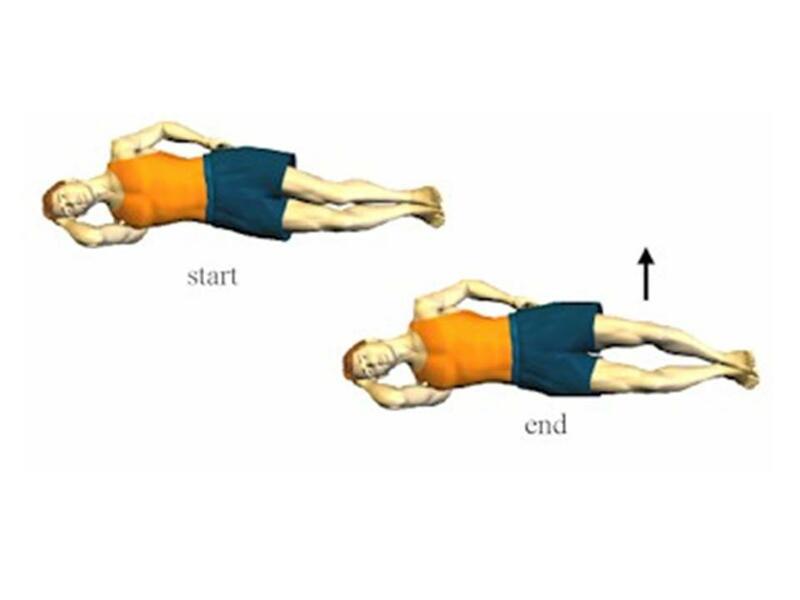 Bike and swimming exercises should be encouraged as long as the patients are out of acute stage. Always encourage your patients use ice after exercise for their knees. Jonathan S. a 44-year-old man has experienced knee pain on and off for two years. He played varsity football while in college and after graduation took up tennis which he played often over the years, four or more times a week, and never had a physical problem. However, the knee pain developed two years ago and the symptoms become worse with weather changes. His pain has been getting worse, even when he is only walking and he has stiffness and swelling, with decreased range of motion when he wakes up in the morning. He experiences difficulty bending or extending his knee and when he goes up or downstairs, he feels as his right knee is giving out. He has severe tenderness along the joint, so he consulted his primary care physician who suspected osteoarthritis of the right knee. When an X-ray was done it showed his right knee cartilage was worn out and the knee joint had a very narrow space. Jonathan was told osteoarthritis of the knee and it was a very serious condition and the best way to treat it would be with a total knee replacement, which he refused to do. 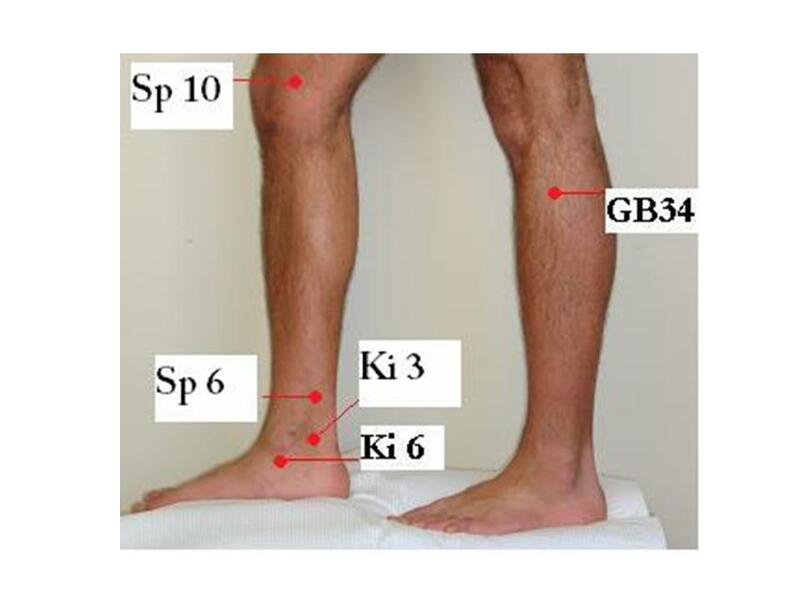 He then consulted me and I noted his knee was moderately swollen and when I checked the range of motion there was limited knee flexion (about 0-70 degrees) . 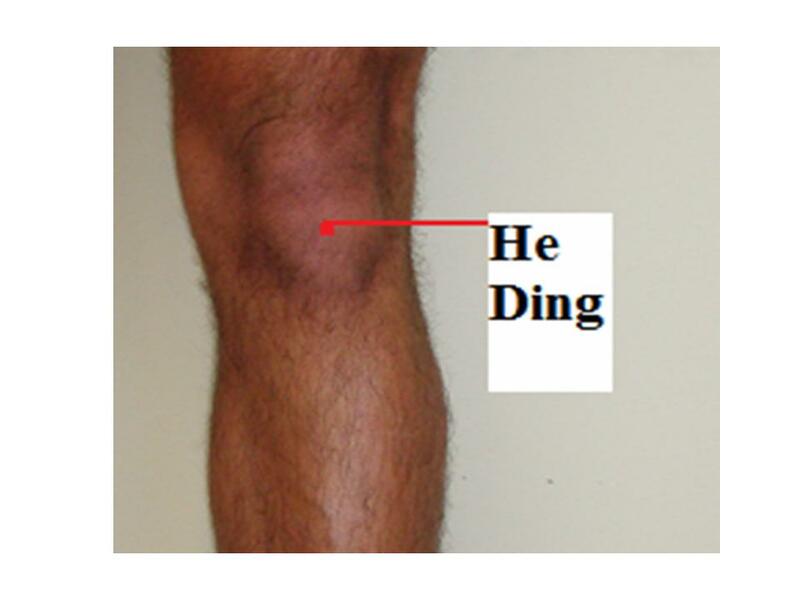 When I moved the knee I heard clicking and cracking noises, which indicated crepitation of the right knee. I also checked the knee X-ray which showed the knee space narrowing and also noted some bony spurs along the tibia and fibula bones, all of which confirmed the diagnosis of knee osteoarthritis. Knee Osteoarthritis is caused by the breakdown and eventual loss of the cartilage of knee joint. Cartilage is a protein substance that serves as a “cushion” between the bones of the joints. 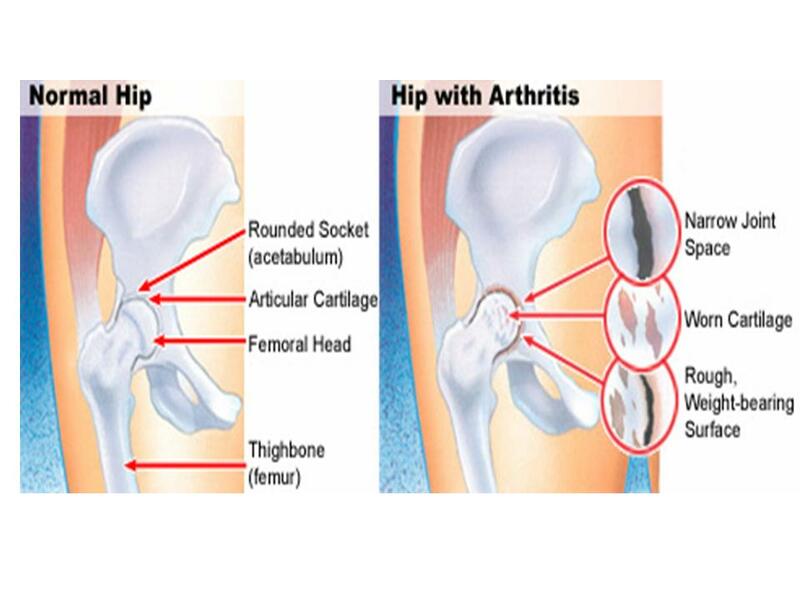 Osteoarthritis is also known as degenerative arthritis, i.e. 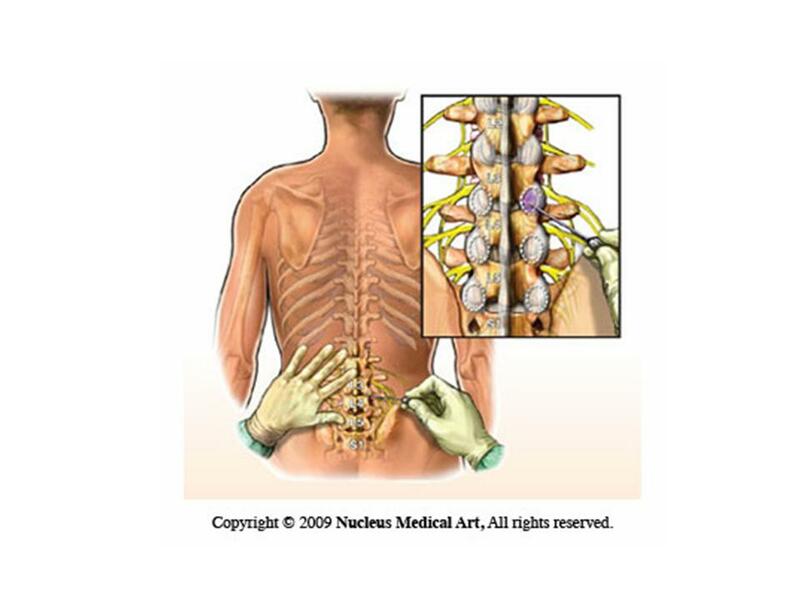 the wearing out of joints during aging process, the older, the worse the arthritis. 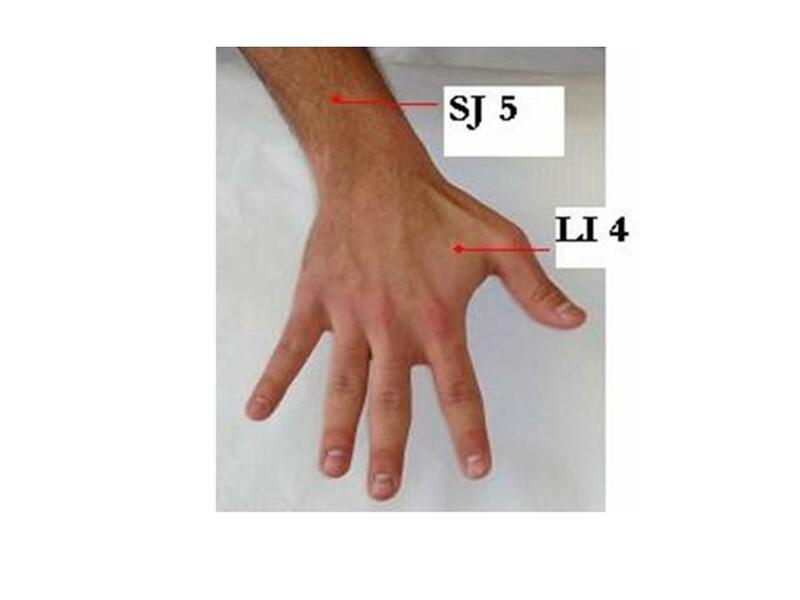 Before age 45, osteoarthritis occurs more frequently in males. After 55 years of age, it occurs more frequently in females. As we look at the following picture, the left side knee joint revealed severe OA with narrow space, in the following picture of the knees, the right one is a normal X-ray with plenty of knee space. The left one is a typical osteoarthritis knee. 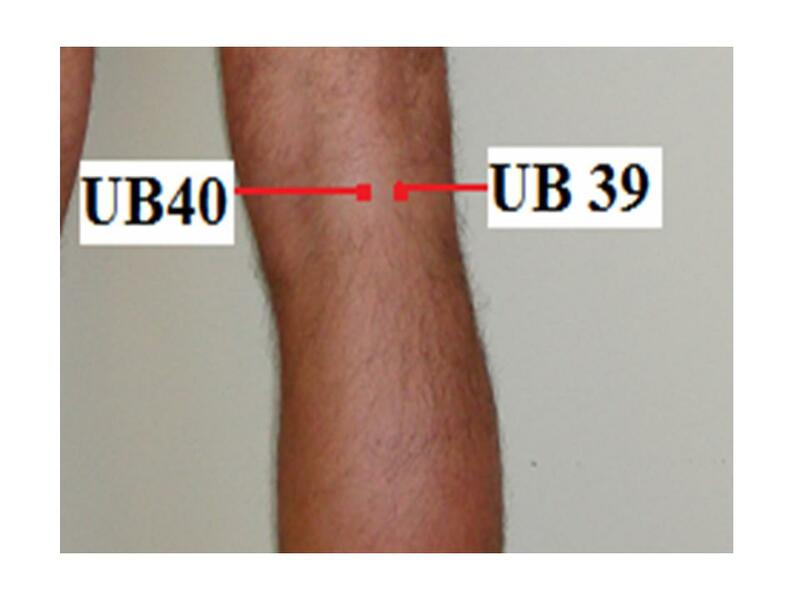 You will see the detail analysis or illustration of the left knee of the x-ray afterwards. 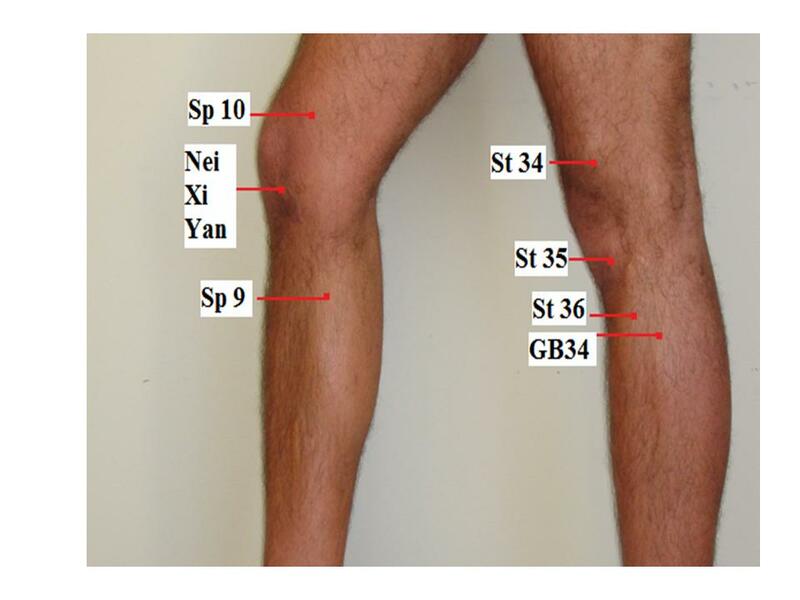 Previous knee injury: Injuries contribute to the development of osteoarthritis. Fractures, ligament tear, and meniscal injury which can affect alignment and promote wear and tear. 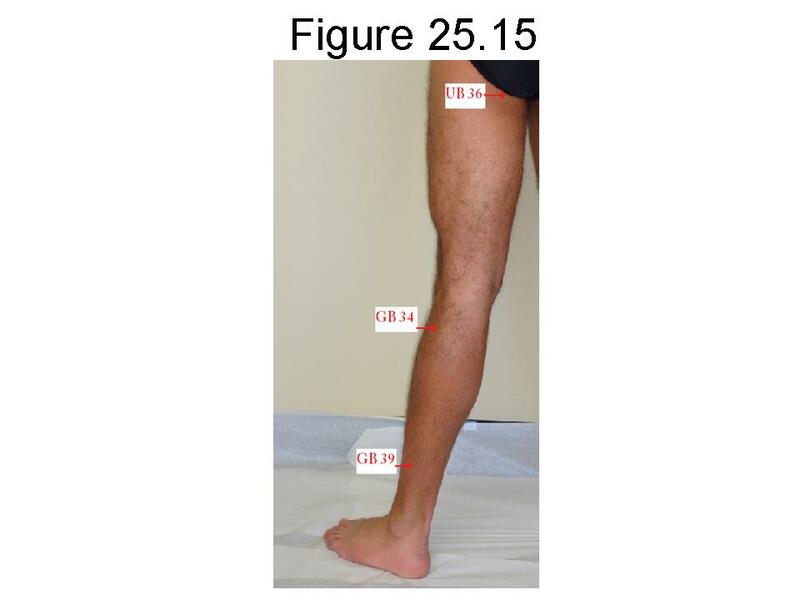 For example, athletes who have right knee-related injuries may try to avoid right knee pain by leaning to the left side, then he will be at higher risk of developing osteoarthritis of left knee. 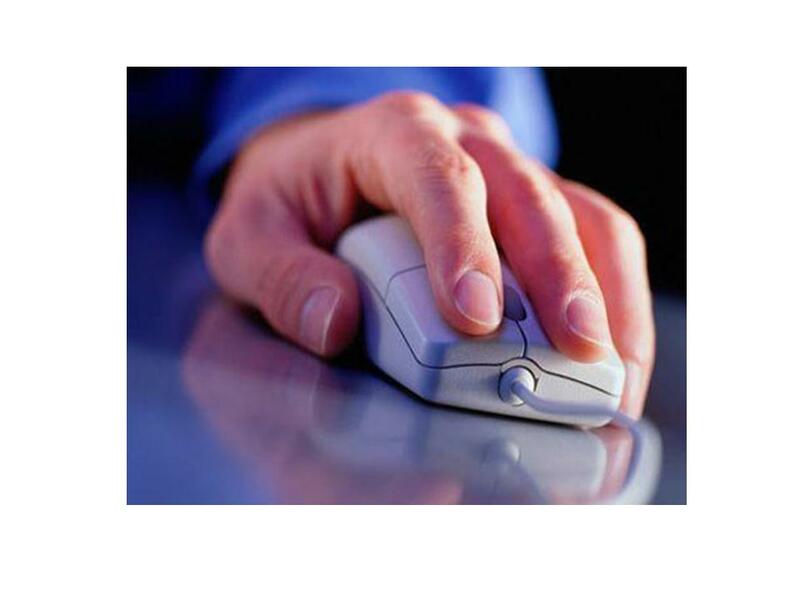 Repetitive strain on the knee: Overuse of certain joints increases the risk of developing osteoarthritis. For example, marathon runners, tennis players and football players are at increased risk for developing osteoarthritis of the knee. Genetics: Some people have an inherited defect in one of the genes responsible for making cartilage. 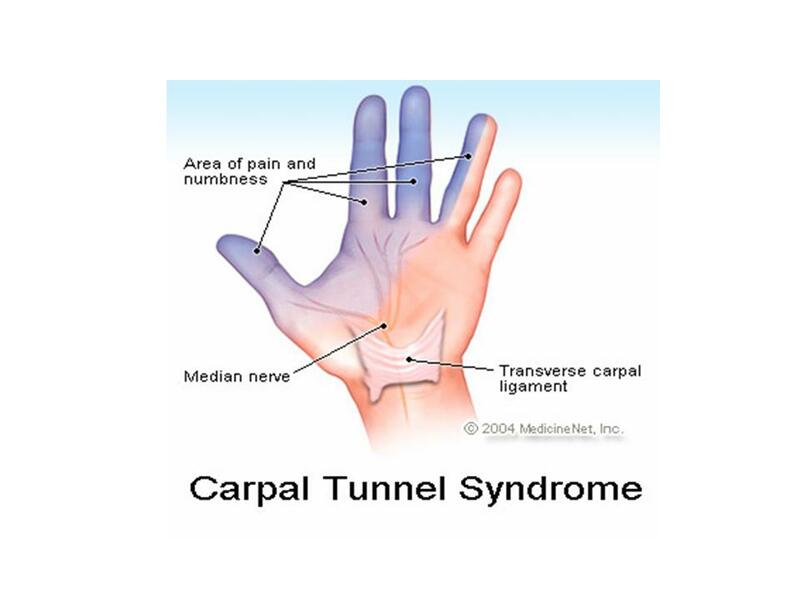 This causes defective cartilage, which leads to more rapid deterioration of joints. 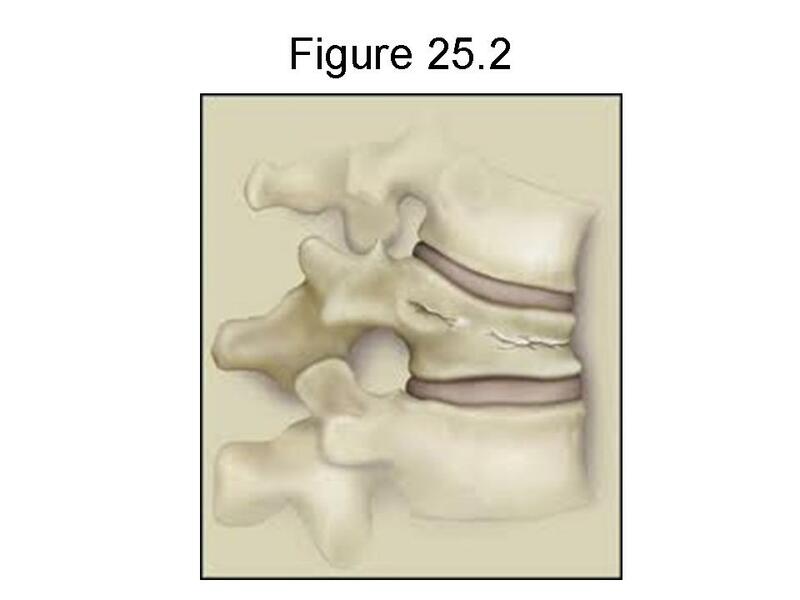 People born with with an abnormality of the spine (such as scoliosis or curvature of the spine) are more likely to develop osteoarthritis of the spine and knee because of the change of dynamic chain in entire body. 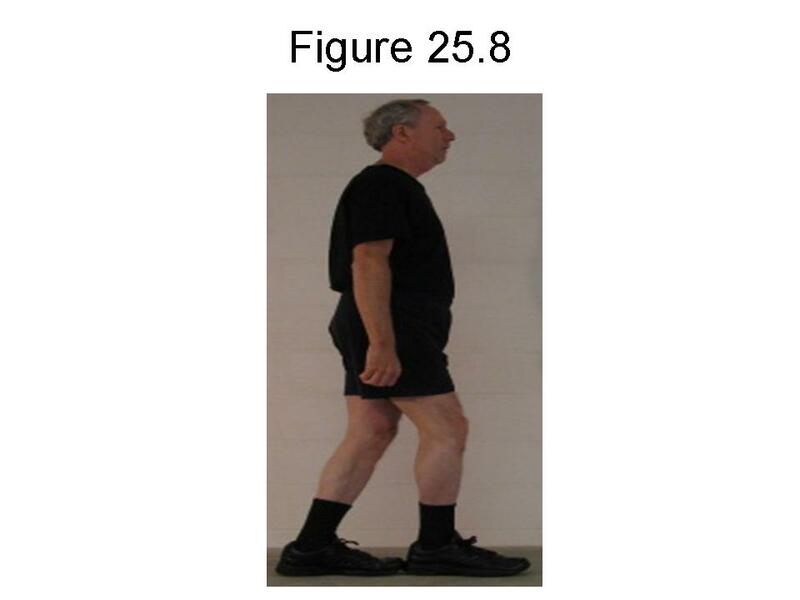 Obesity: Overweight increases the risk for osteoarthritis of the knee and hip by addition of stress and impact on the joint surface during weight bearing mobility. Maintaining ideal weight or losing excess weight may help prevent osteoarthritis of the knee and hip or decrease the rate of progression once osteoarthritis is established. 3. 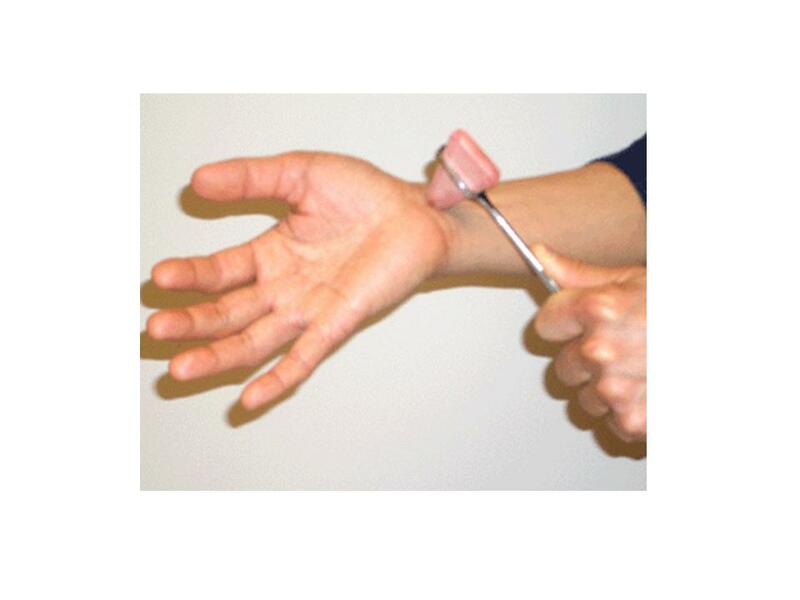 Certain findings of a physical exam: Crepitus, Effusion, Deformity, etc. * Joint Space Narrowing: Joint space loss is usually not uniform within the joint, the weight bearing part of the knee joint usually wear out more, “Bone-on-bone” suggests there is no joint space left. 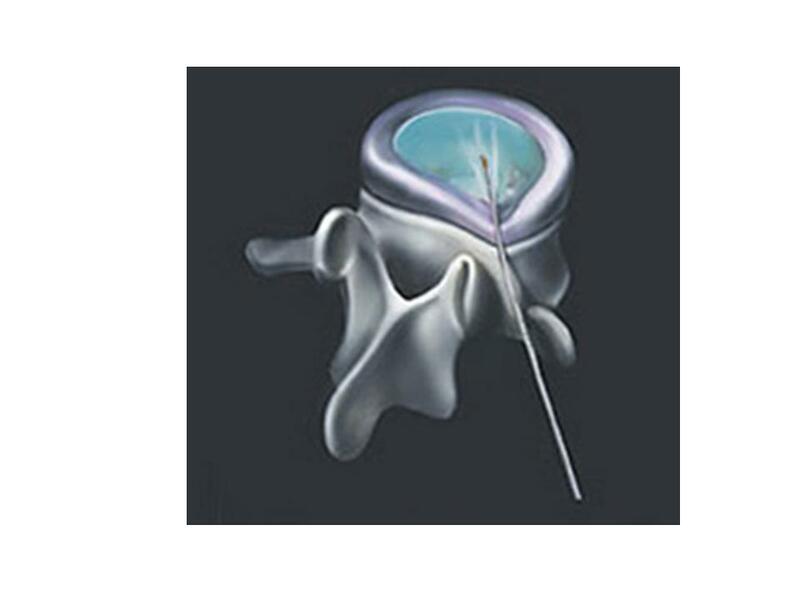 * Development of Osteophytes: also called bone spurs, are protrusions of bone and cartilage, which typically develop as a reparative response by remaining cartilage, cause pain and limited range of motion in the affected joint. * Subchondral Sclerosis: subchondral bone is the layer of bone just below the cartilage. Sclerosis means that there is hardening of tissue. 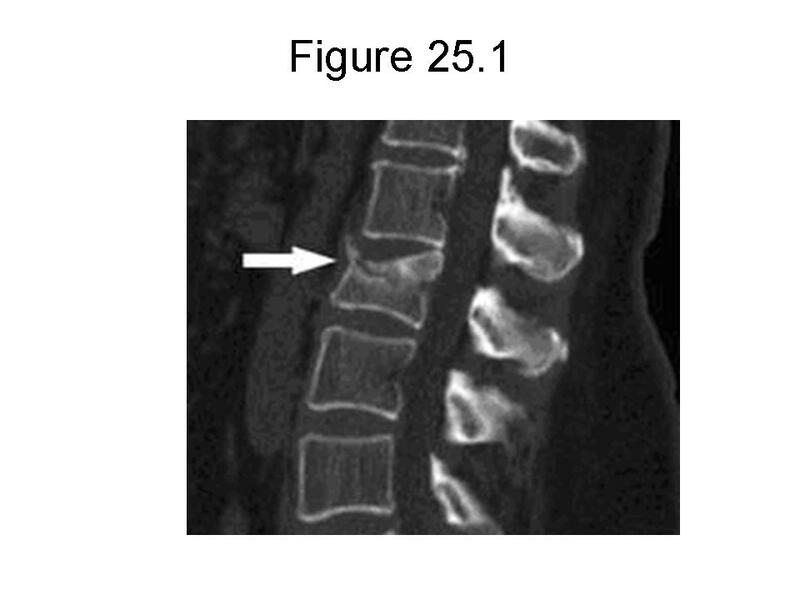 Subchondral sclerosis is seen on x-ray as increased bone density, frequently found adjacent to joint space narrowing. The degeneration of bone which occurs in osteoarthritis causes bone to turn into a dense mass at the articular surfaces of bone. 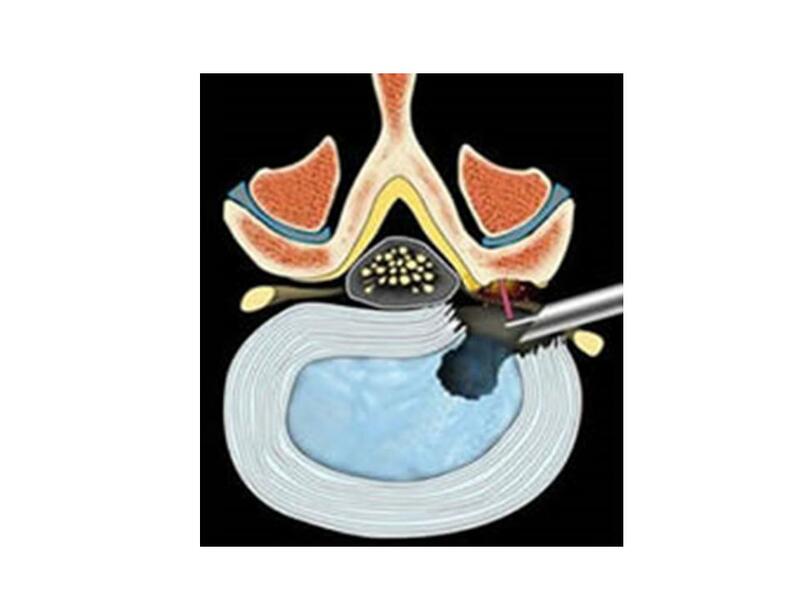 * Subchondral Cyst Formation: are fluid-filled sacs which extrude from the joint. 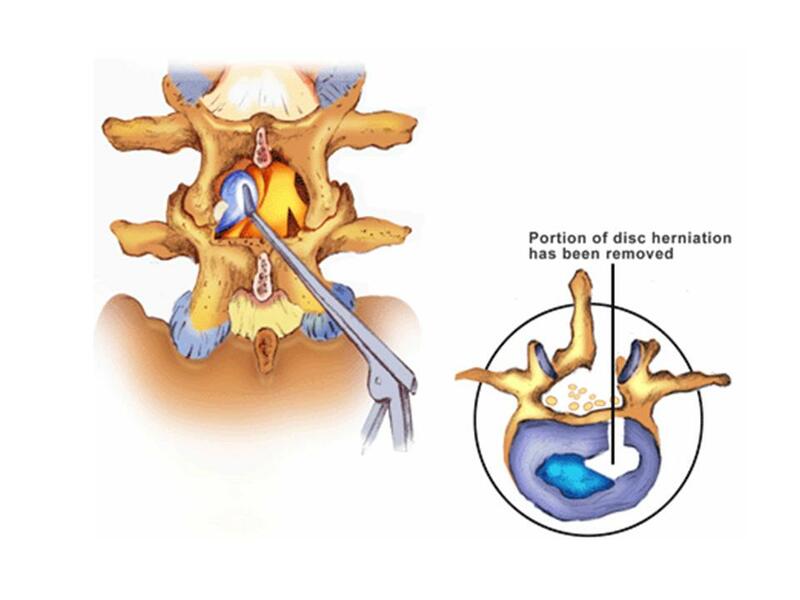 The cysts contain thickened joint material, mostly hyaluronic acid. Traumatized subchondral bone undergoes cystic degeneration. 5. 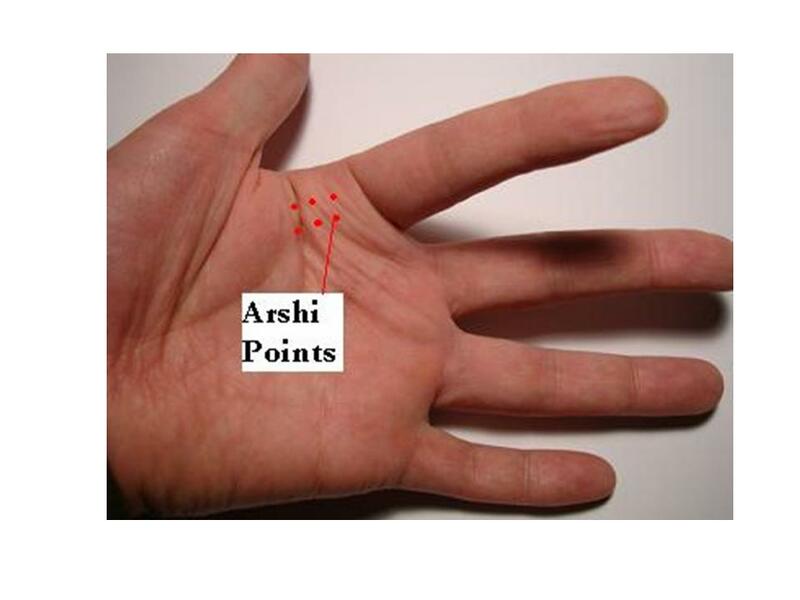 Sometimes blood tests will be given to determine if you have a different type of arthritis. 6. If fluid has accumulated in the joints, your doctor may remove some of the fluid (called joint aspiration) for examination under a microscope to rule out other diseases. Treatment of the knee by western medicine. Physical therapy. 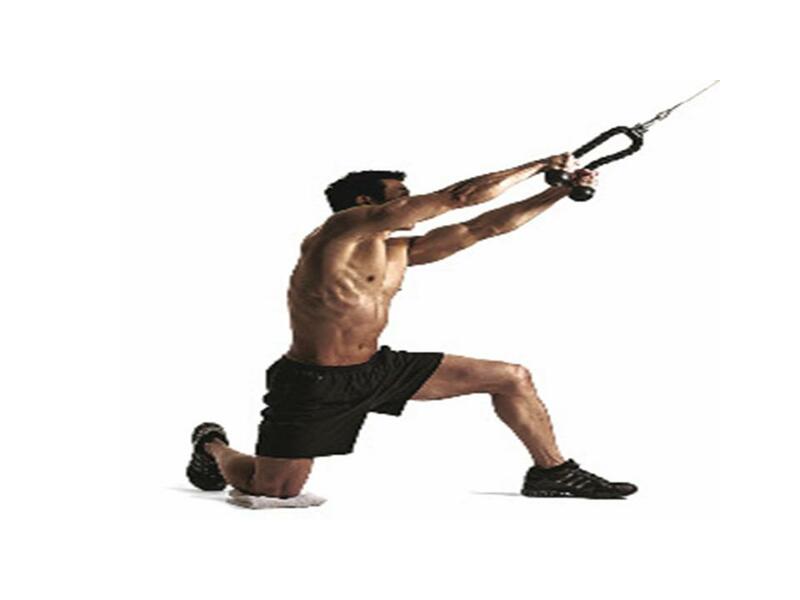 The proper exercises will strengthen the muscles around the knee and help to regain the knee stability. 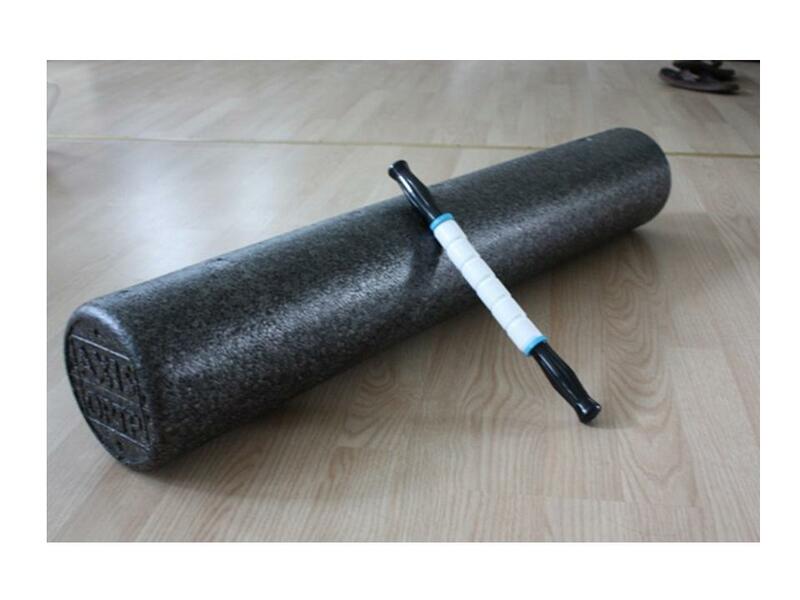 A Foam Roller, Hand Held Marathon Massage Stick, or other types of Soft Tissue Work will assist in loosening adhesions and imbalances that may place greater stress through the joints of the knee and limit full range of motion of the muscles. 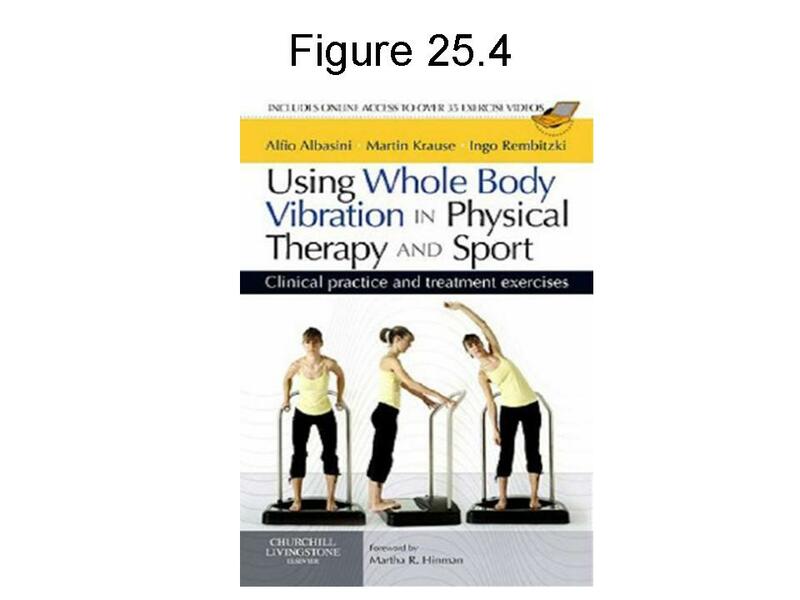 The muscles of the hip and knee must be strengthened with exercises placing less stress through the arthritic joint with Non-Weight Bearing (NWB) Exercises. 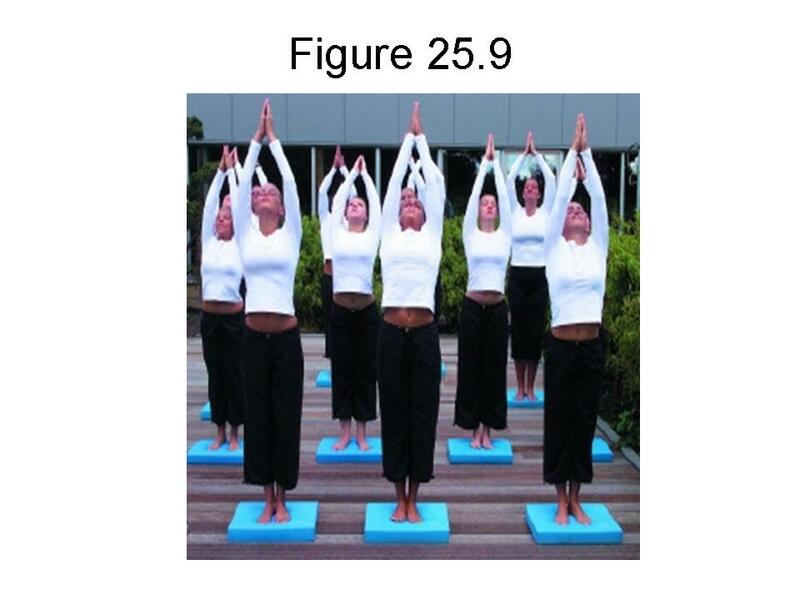 4-Way Hip Exercises on a mat will strengthen muscles surrounding the hip and knee. 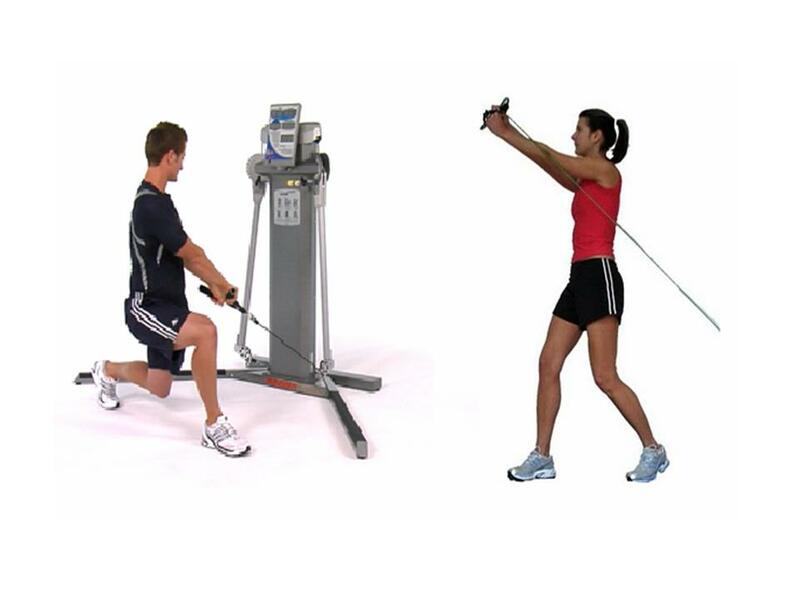 These should be progressed from 3 sets of 10, to 2 sets of 15 to 1 set of 30 then repeated with ankle weights. 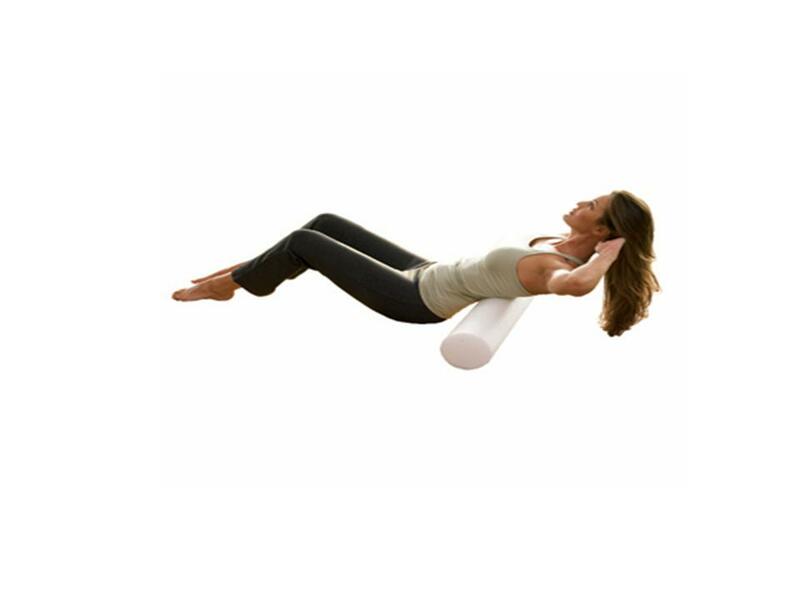 Clam Shells are NWB and can be performed in a seated position or lying on your side to strengthening the muscles of the outer and inner thigh. 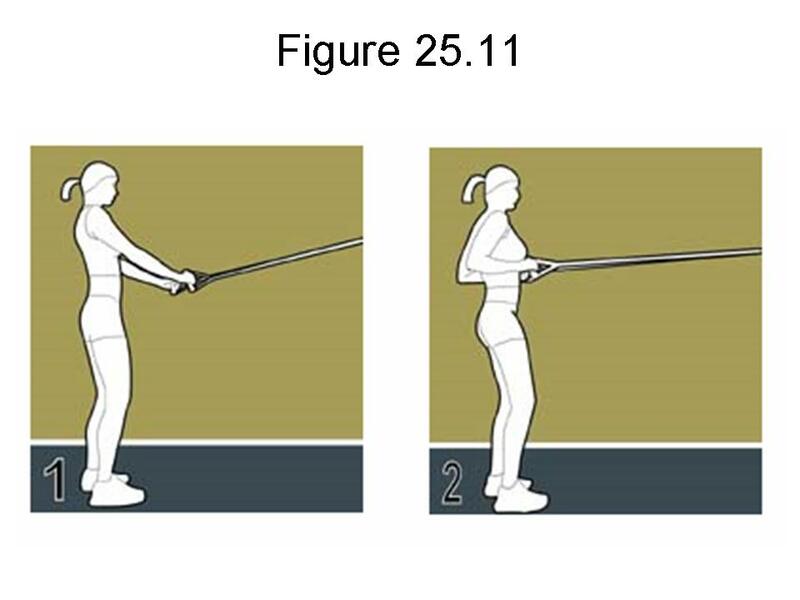 Increased tension of the band will make the movement more challenging, select a band resistance to make the last few reps more difficult to achieve 2 sets of 10, then once able to complete a 3rd set, increase resistance. 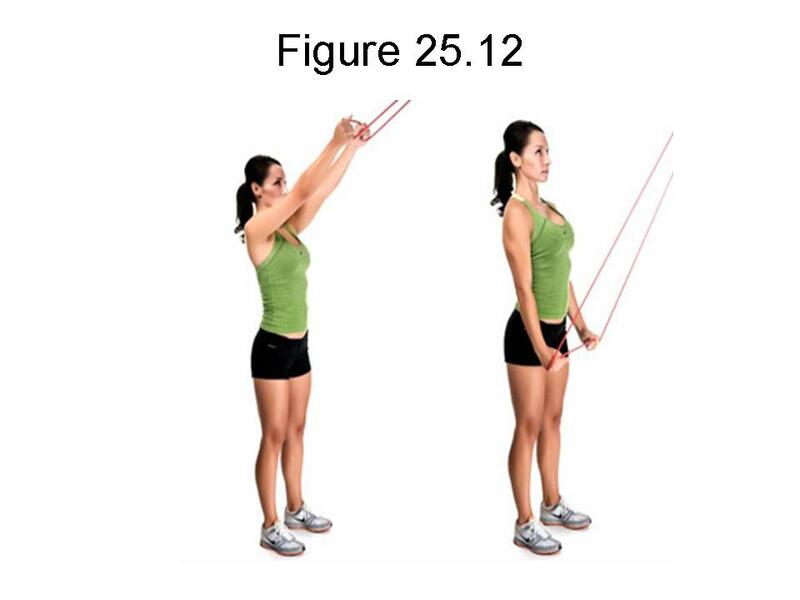 Utilizing a Stretch-Out Strap Routine following strengthening exercises will improve mobility in the muscles. 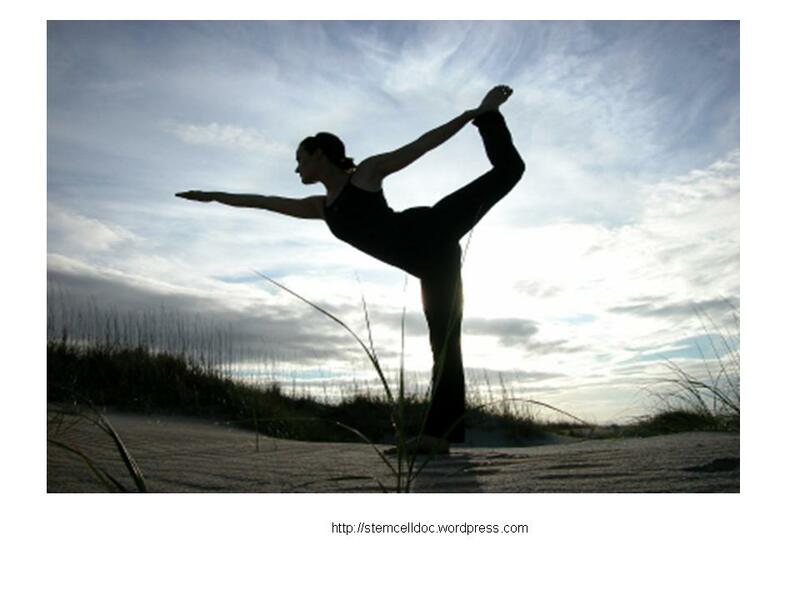 Each stretch should be held from 30-60 seconds and repeated on both legs. 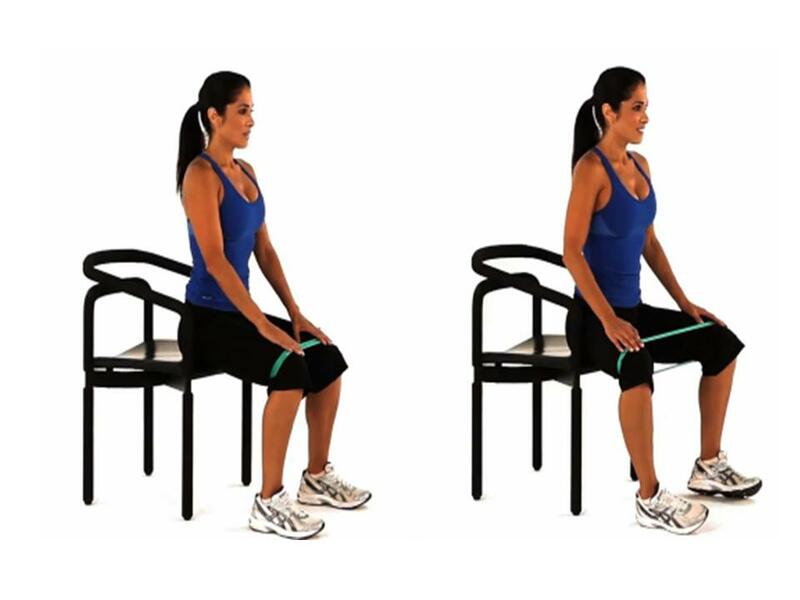 This routine flows easy from one move to another and is NWB so less stress is placed through the knee joint compared to if these exercises were performed in standing. Recent research studies have shown benefits with Kinesio Taping to help reduce knee pain and improve quadriceps strength. 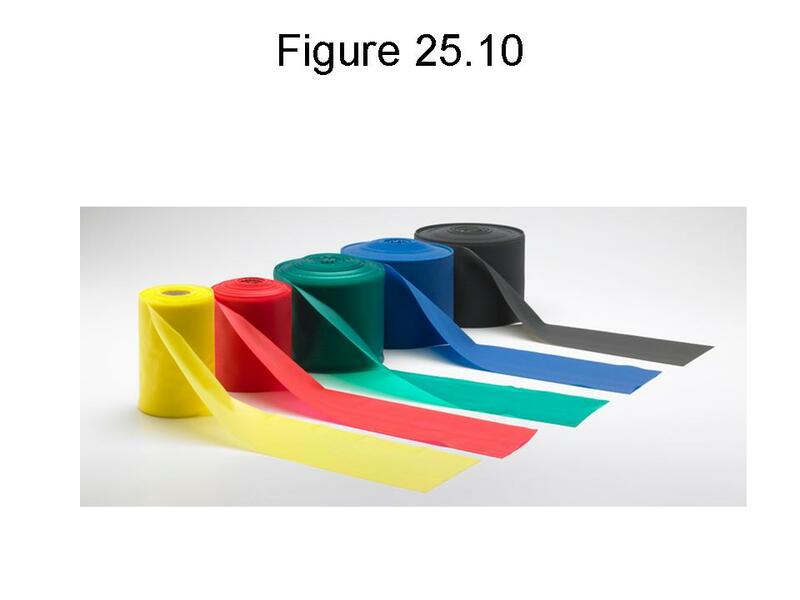 The tape will assist in correcting imbalances at the knee to reduce stress on joints and recruit greater muscle activation. 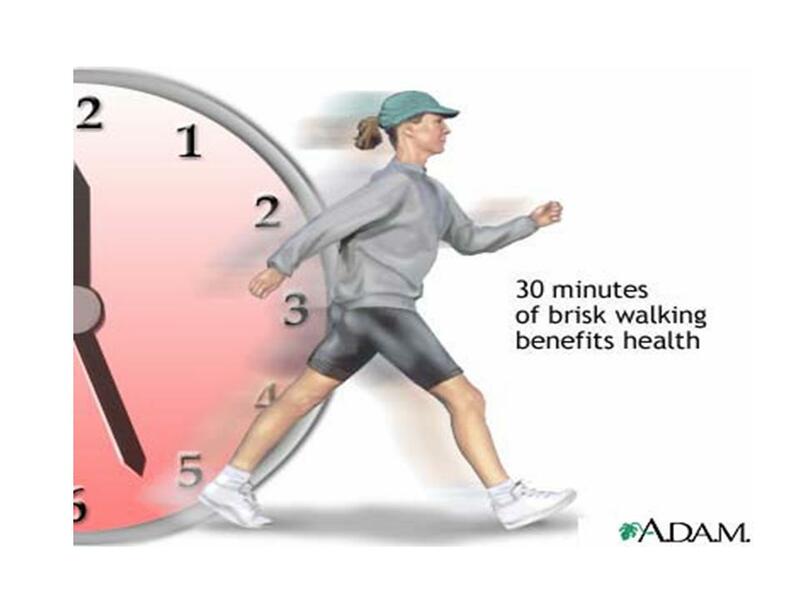 Walking when pain free is a great form of exercise. Avoid high impact activities such as jogging and running and opt for walking, elliptical, exercise bike, swimming to improve the strength and range of motion of the leg muscles. Corticosteroid injections: steroid injection can quickly decrease the inflammation and decrease the pain, however, it is not possible to use this treatment more than three times a year because there are too many side effects. These include risk of infection, water retention and elevated blood sugar levels, etc. Hyaluronic injections. Hyaluronic acid is a substance that is naturally present in the human body. 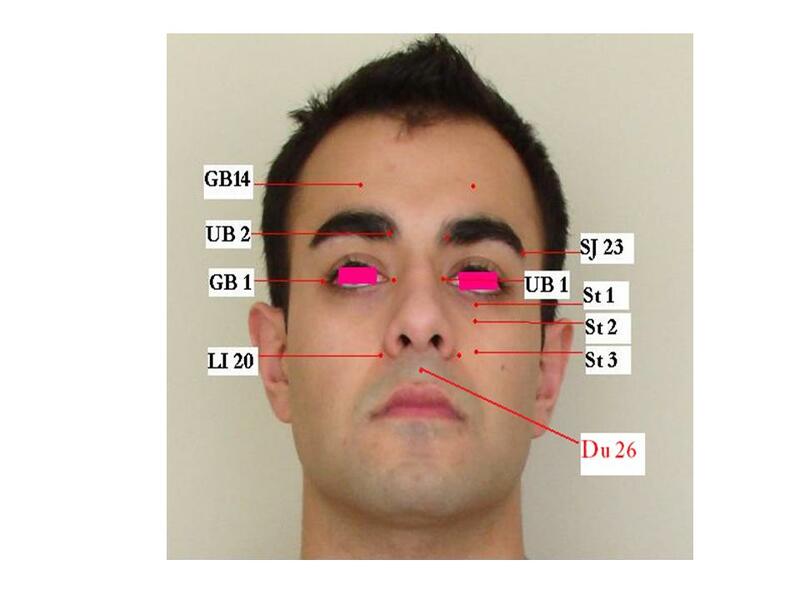 It is found in the highest concentrations in fluids in the eyes and joints. As we all understand, Osteoarthritis is characterized by a loss of articular cartilage and a reduction in the elastic and viscous properties of the synovial fluid occurs. The molecular weight and concentration of the naturally occurring hyaluronic acid decreases, which lead to decreases the lubrication and protection of the joint tissues of the knee. The above theory raised the concept of viscosupplementation, i.e. 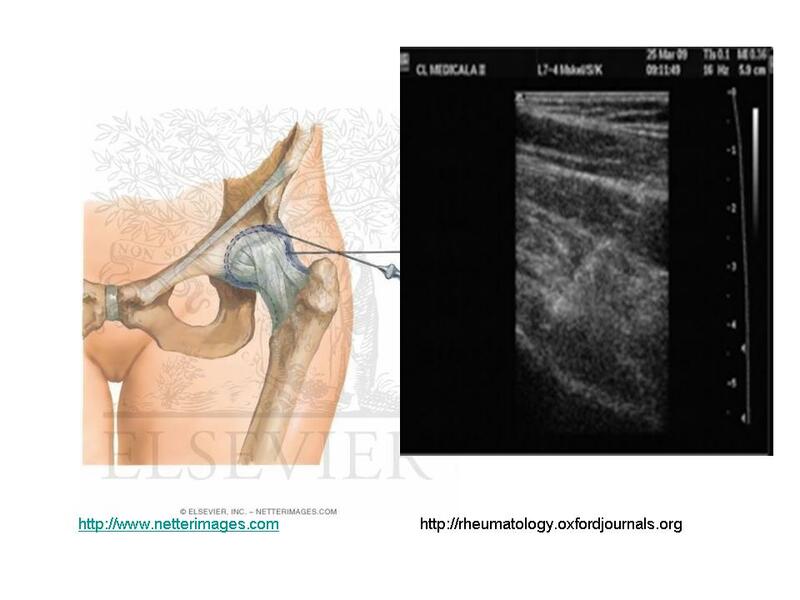 injection of hyaluronic acid into the osteoarthritic knees. 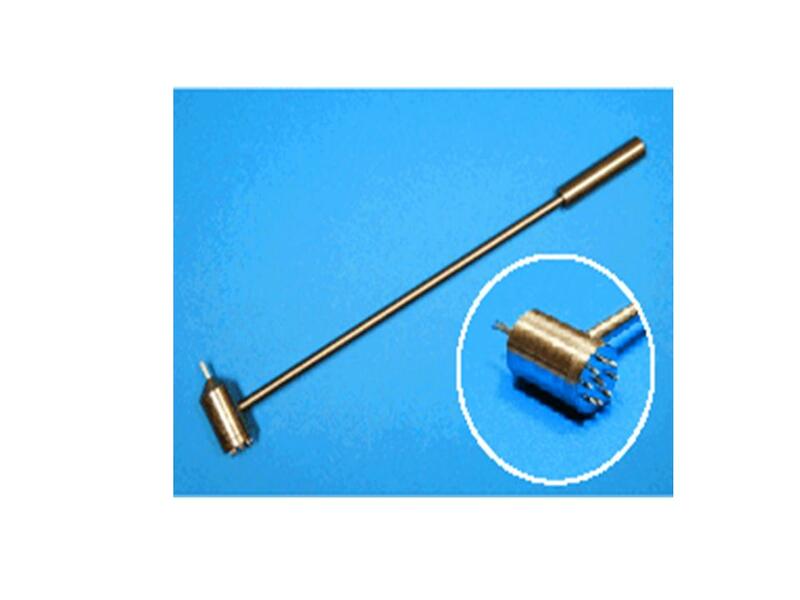 Hyaluronic acid injection at your knee will provide lubrication for knee, acting as a lubricant and shock absorbent. The hyaluronic acid that is used as medicine is extracted from rooster combs or made by bacteria in the laboratory and similar to gelatinous material in the tissue spaces and generally throughout the body. 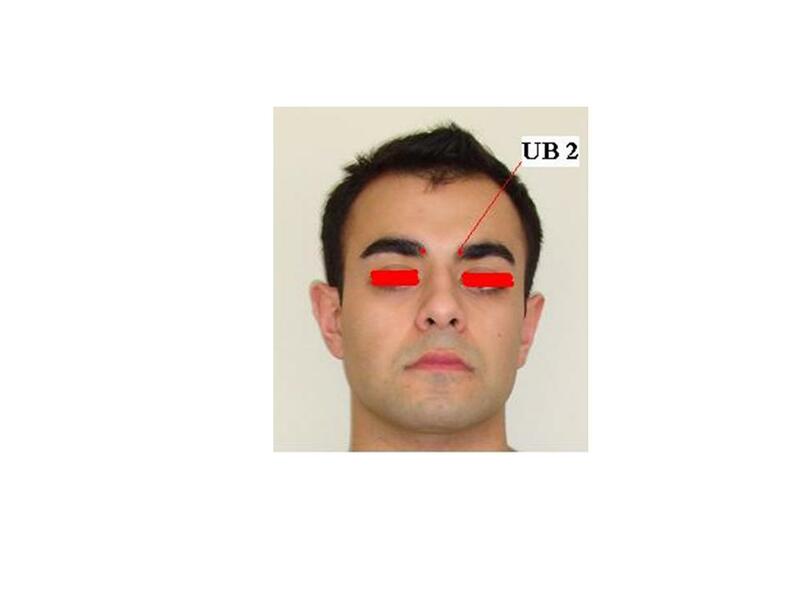 Side Effects of Hyaluronic Acid injection: No systemic reactions were attributed to hyaluronic acid. Most of the reported adverse reactions consisted of minor localized pain or effusion, which was almost always resolved within one to three days. Significantly symptomatic osteoarthritis who have not responded adequately to standard nonpharmacologic and pharmacologic treatments. 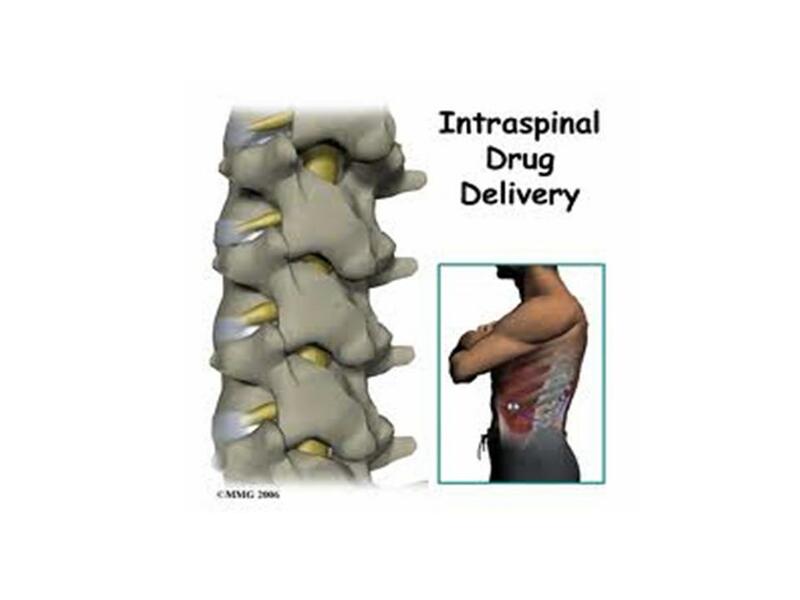 Intolerant of these therapies (e.g., gastrointestinal problems related to anti-inflammatory medications). 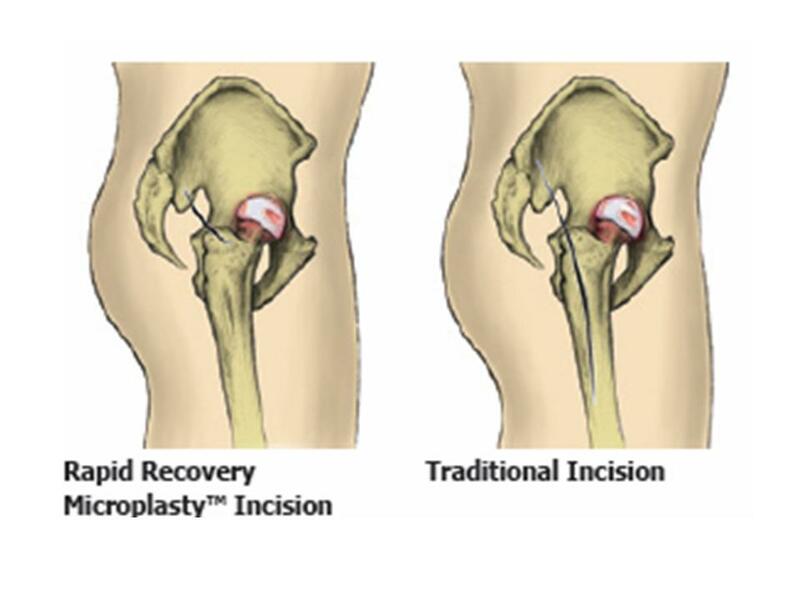 Patients who are not candidates for total knee replacement or who have failed previous knee surgery for their arthritis, such as arthroscopic debridement, may also be candidates for viscosupplementation. 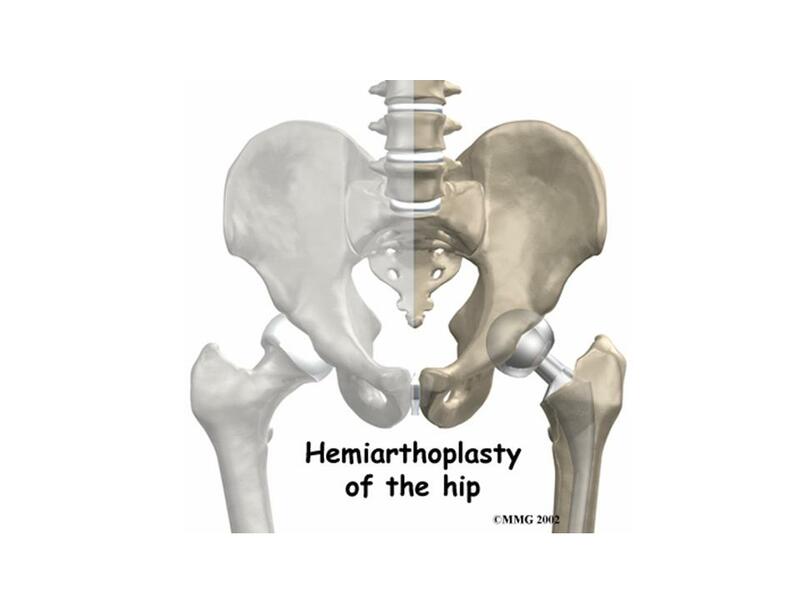 Total knee replacement in younger patients may be delayed with the use of hyaluronic acid. As per current studies, the metal knee joint after total knee replacement may last 10 to 15 years, we usually recommend patients to have the total knee replacement in a older age, such as age of 65 or above to avoid two surgeries for total knee replacement in their life time. 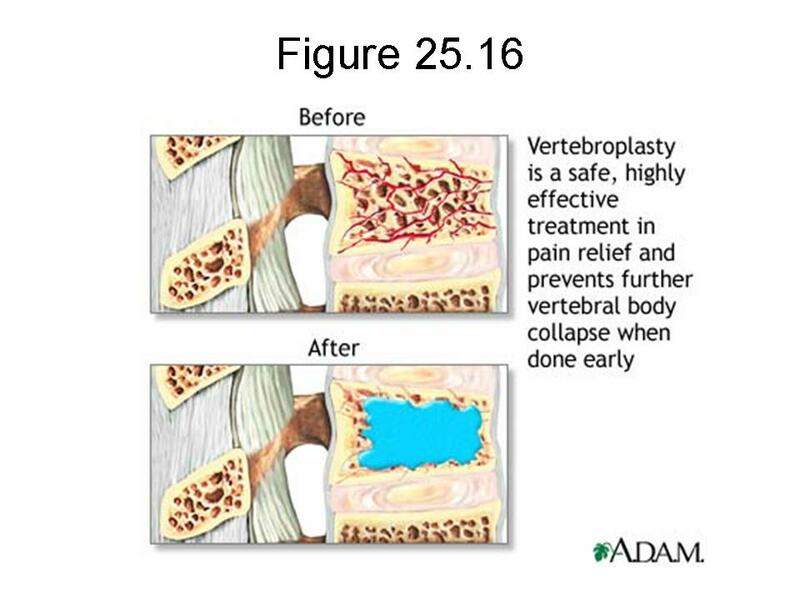 Therefore, by injection of hyaluronic acid into the knee joints, patient’s pain might decrease and the surgery might be delayed for a while. 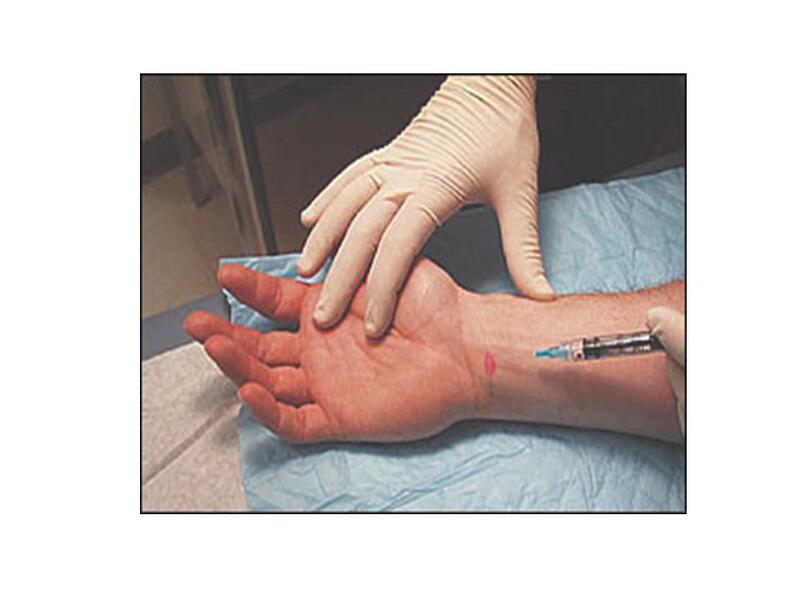 Hyalgan is supplied in 2-mL prefilled syringes. The recommended injection schedule is one injection per week for five weeks for Hyalgan. 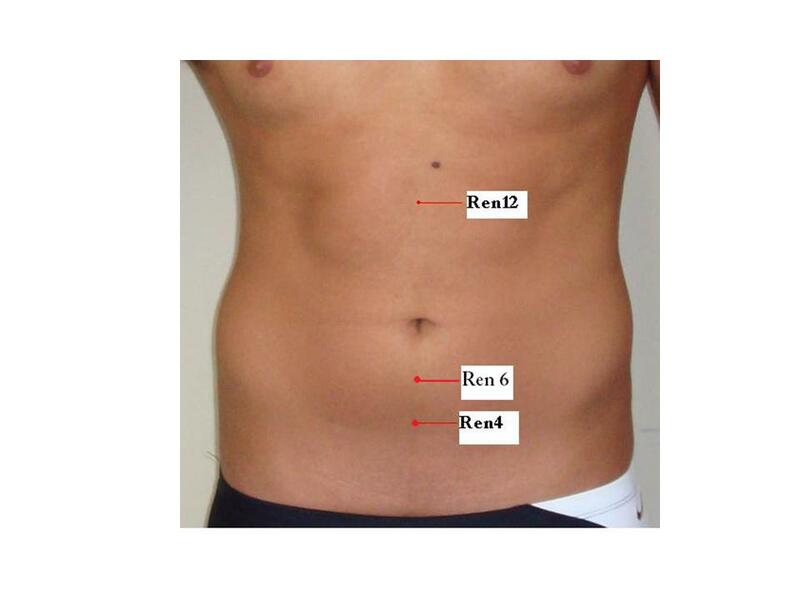 Repeat courses of Hyalgan can be performed after six months. A knee joint can be injected several ways. 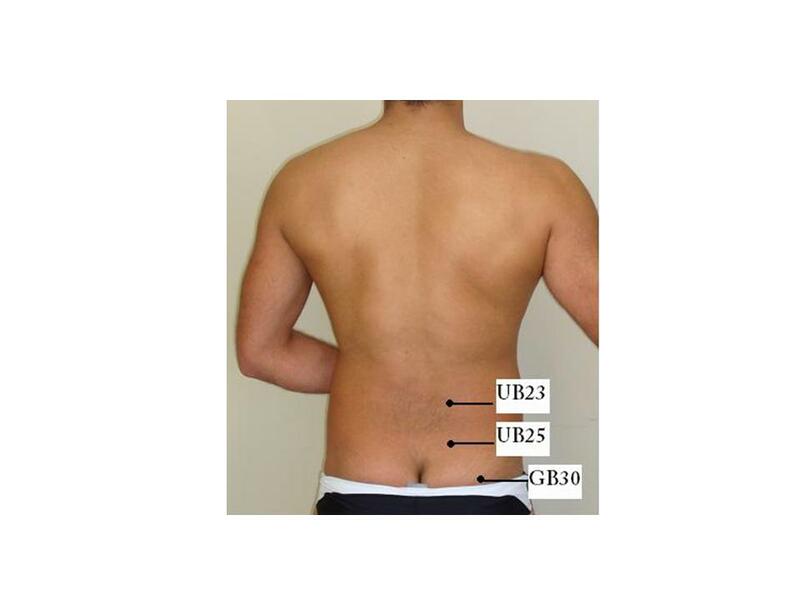 One approach is to have the patient lie supine on the examination table with the knee flexed 60 to 90 degrees (Figure ). 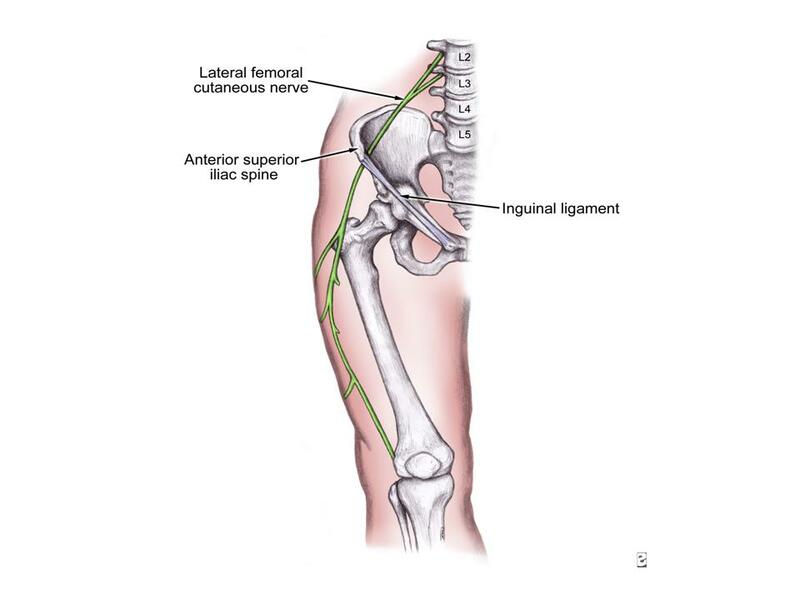 In this position, the anterior portions of the medial and lateral joint lines can easily be palpated as dimples just medial or lateral to the inferior pole of the patella. 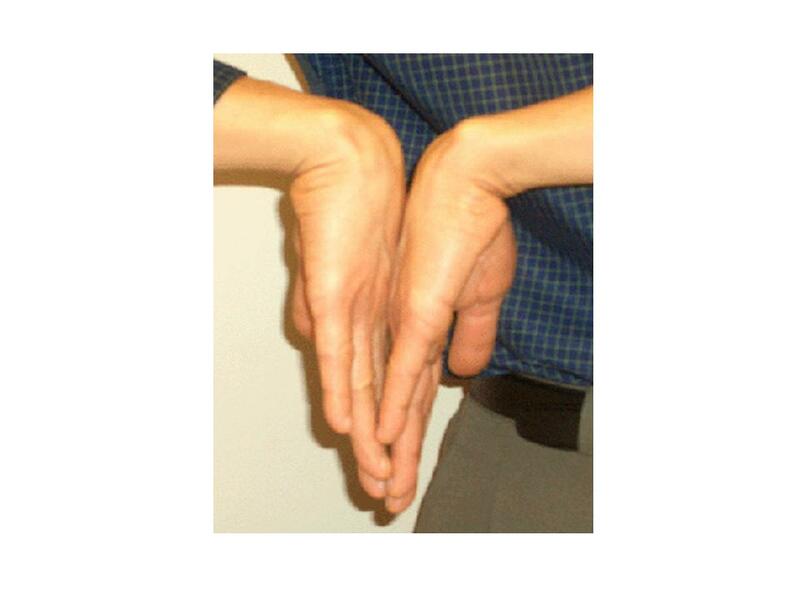 Often, the medial joint line is easier to palpate and define and can be chosen as the site of injection. 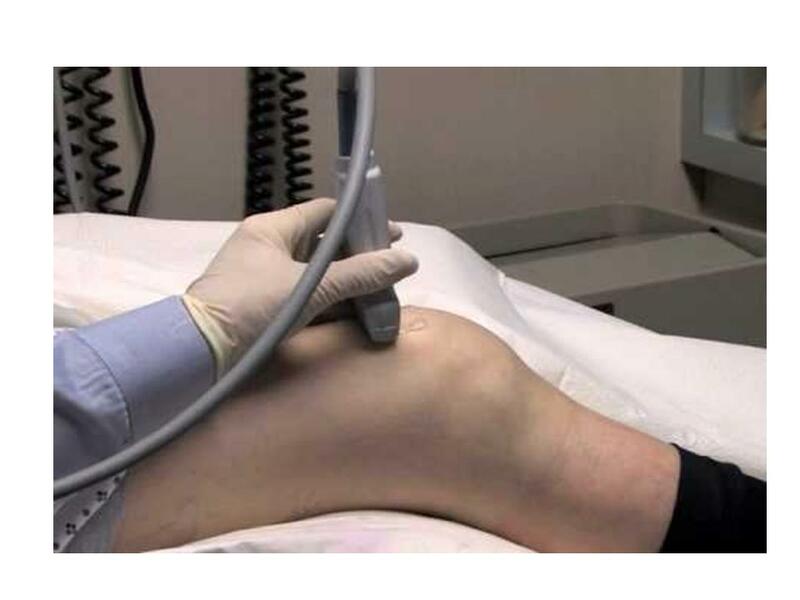 In my office, I routinely use ultrasound image to guide the knee injection, with this method, the injection is much more accurate and much less painful. 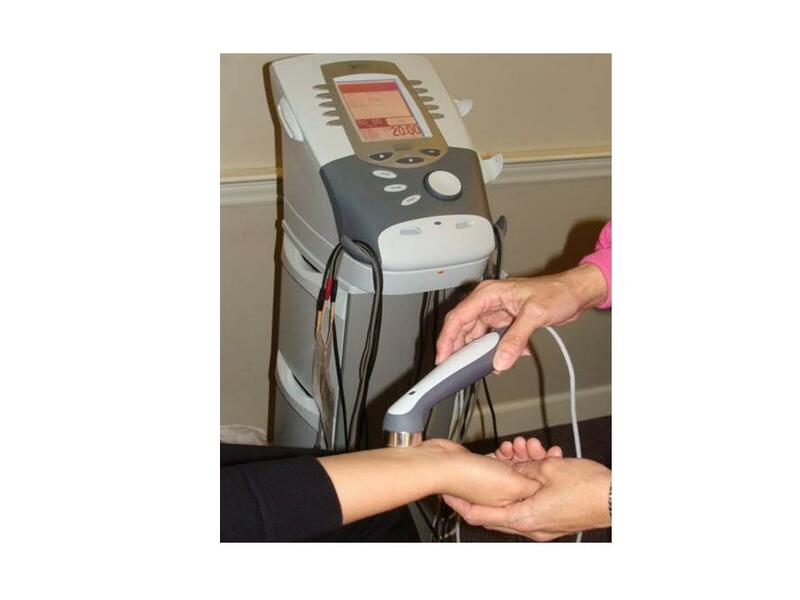 If you would like to have knee injection, the ultrasound guided injection might give you a better result. 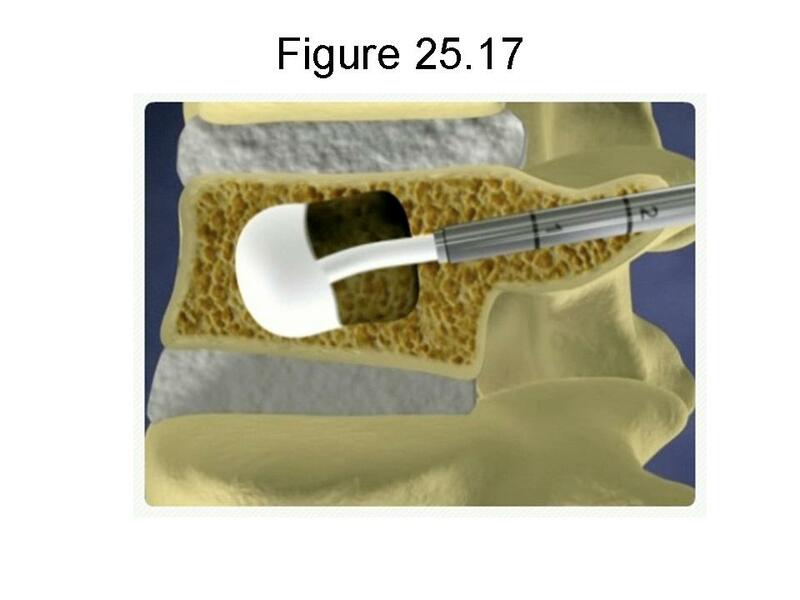 Arthroscopic surgery. This type will repair the torn meniscus, ligament and tendon. Total knee replacement. 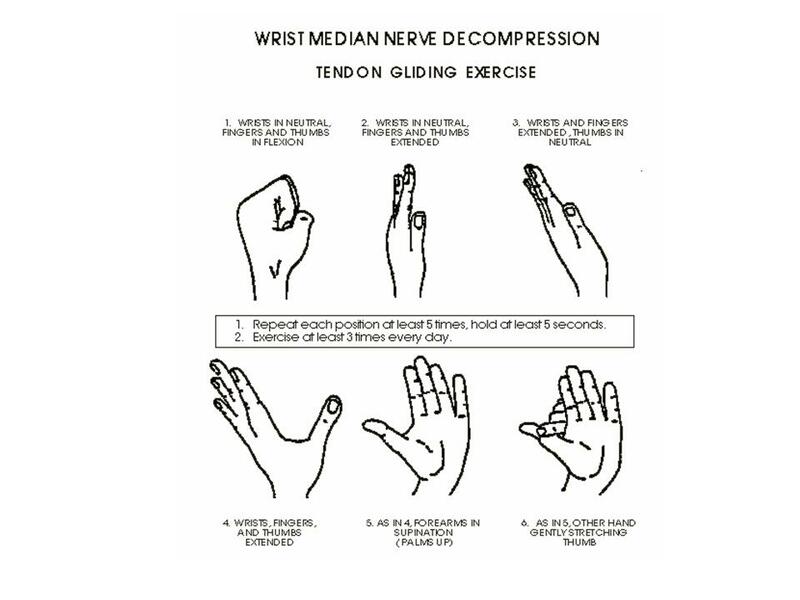 This operation is usually performed on people 65 and over, because the prosthetics of an artificial joint usually lasts only 15 to 20 years. 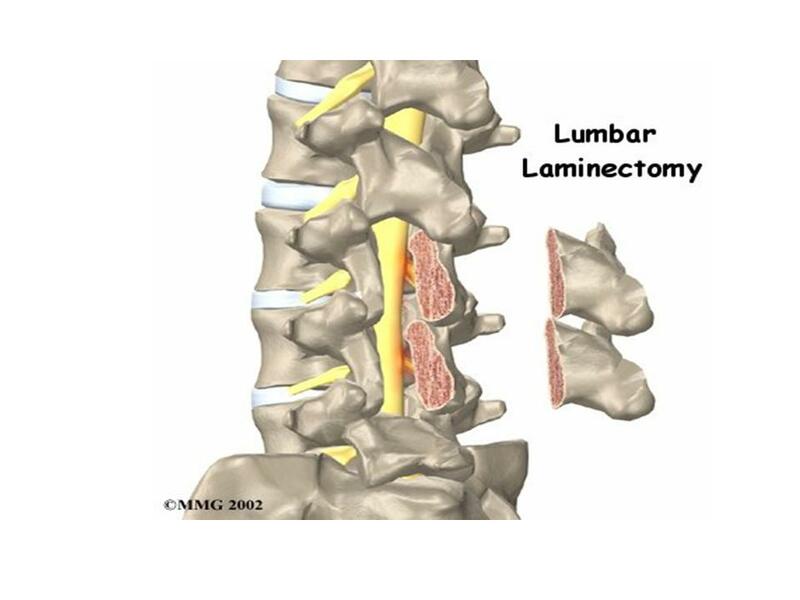 If the replacement is performed too early, the patient might have to undergo another one at a later time. 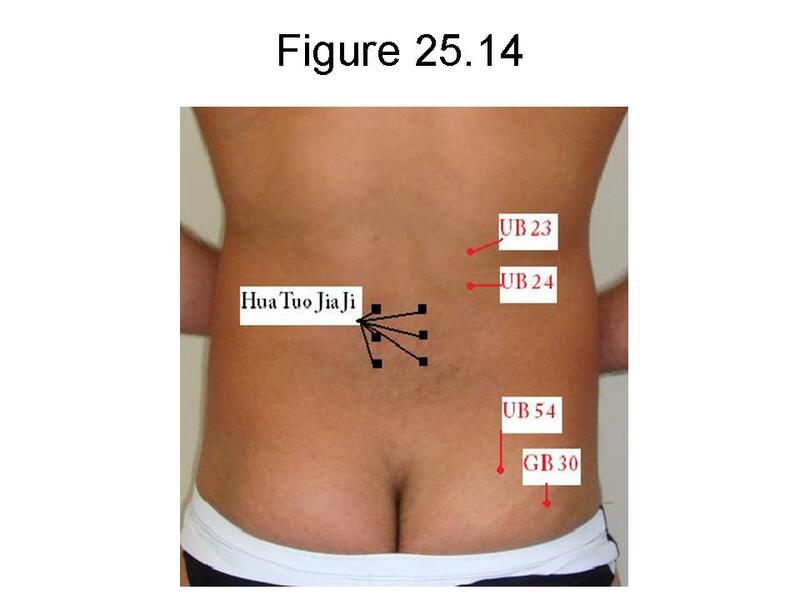 I choose the following acupuncture points for both type: St 35 Du Bi, Nei Xi Yan, Xue Hai, Liang Qiu, He Ding, Wei Zhong, I add Ying Ling Quan, Wei Yang for Wind hot, and Yang Ling Quan, Zhu San Li for Wind cold. 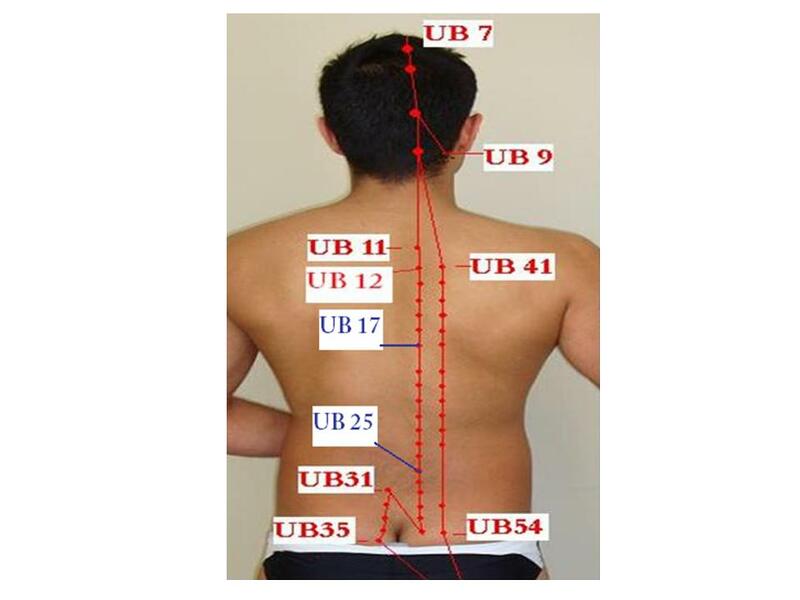 Jonathan underwent treatment with acupuncture, and his acute pain subsided and the swelling returned to normal after five sessions of acupuncture. I also injected Hyalgan once a week for five weeks. 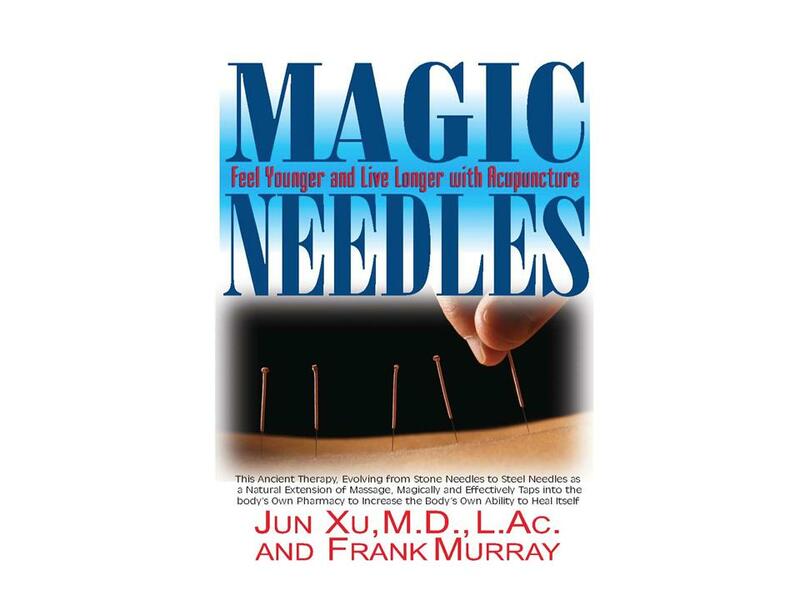 After the acupuncture treatments and injections, the patient reported that the pain was much subsided, and for almost a year he was pain free. Acupuncture and all other treatments besides surgery would buy you time if you have severe knee osteoarthritis. As I mentioned above, we recommended you have your total knee replacement as late as possible, the mechanical knee joint lasts only 10 to 15 years, you would not be happy during your life to have two times of total knee replacement. If you have mild to moderate knee osteoarthritis, acupuncture should be the first choice because of its effectiveness and no side effects. If you would like to consider Hyalgan or other Hyuaric Acid injection, you should ask your physician if they use ultrasound guided injection and if they inject your knee once a week for at least three weeks in your knee. I prefer to inject once a week for 5 weeks, which could guarantee you have enough Hyuaric Acid injected in your knee. In the acute stage of any knee pain, the patient should be treated by old fashioned methods: protection, rest, ice, compression and elevation. If an acute ligament or meniscus injury is suspected, the patient should be referred to an orthopedic or rehabilitation physician and have a MRI for the knee. A recent study by the NIH showed acupuncture can significantly decrease the pain of knee osteoarthritis. After the acute phase subsides, acupuncture with Moxa is extremely effective for Wind cold type, acupuncture with ice at the knee is a very useful method for wind hot type.